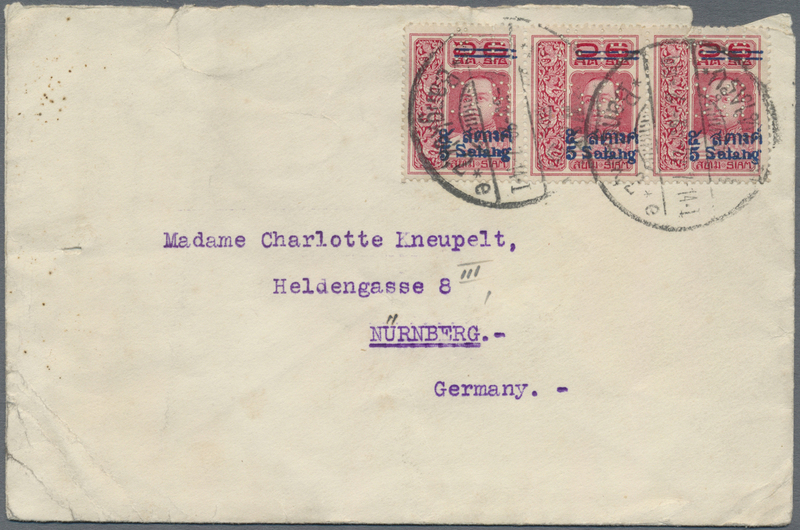 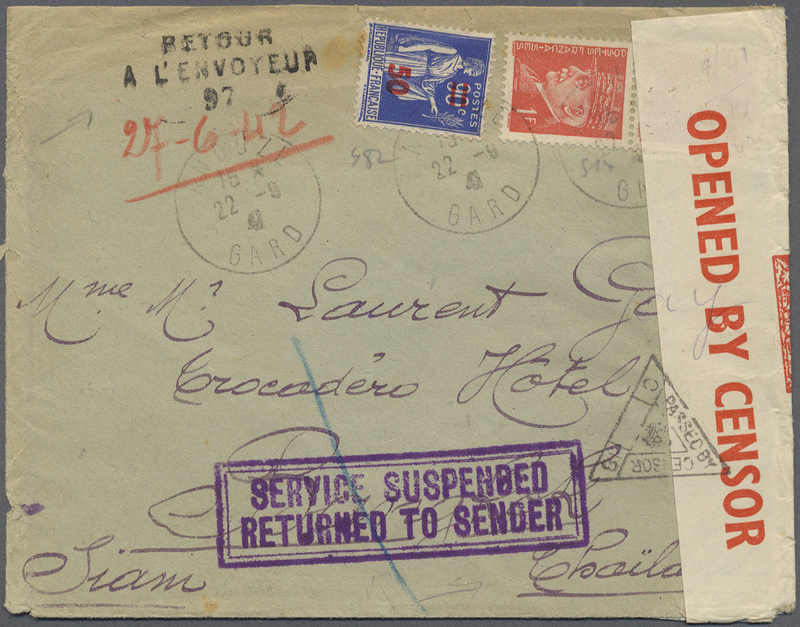 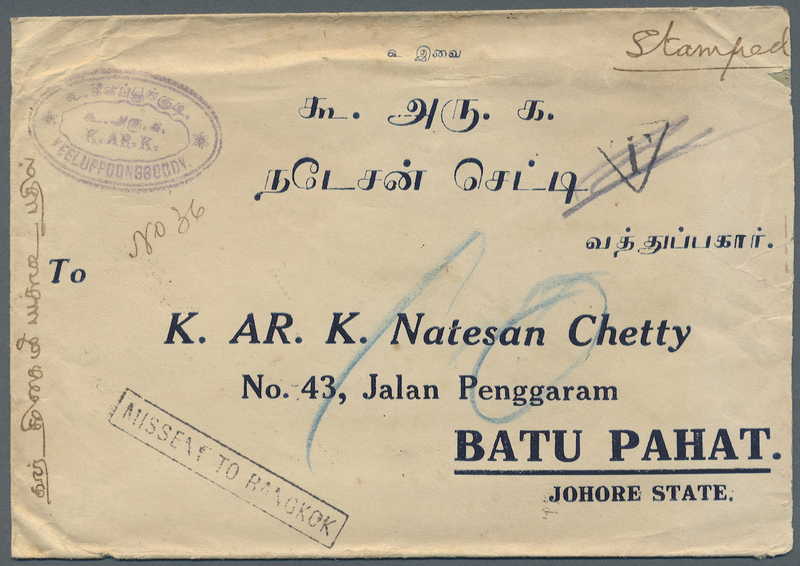 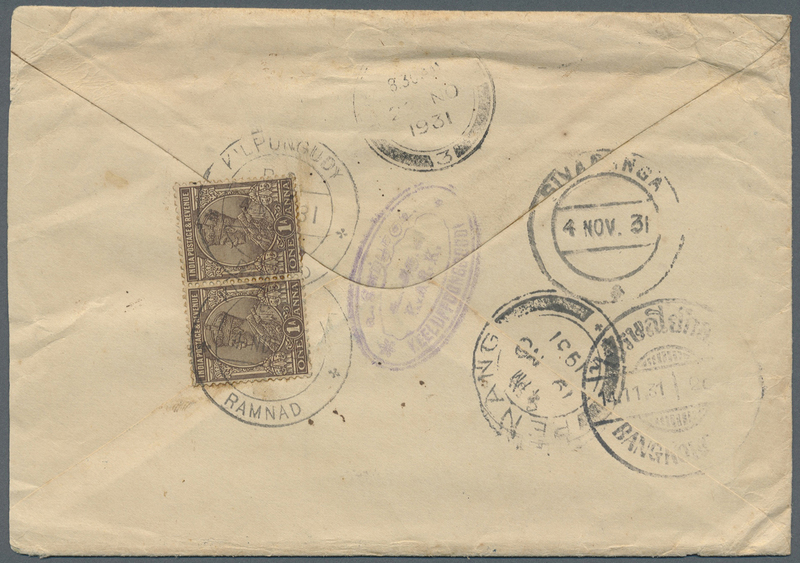 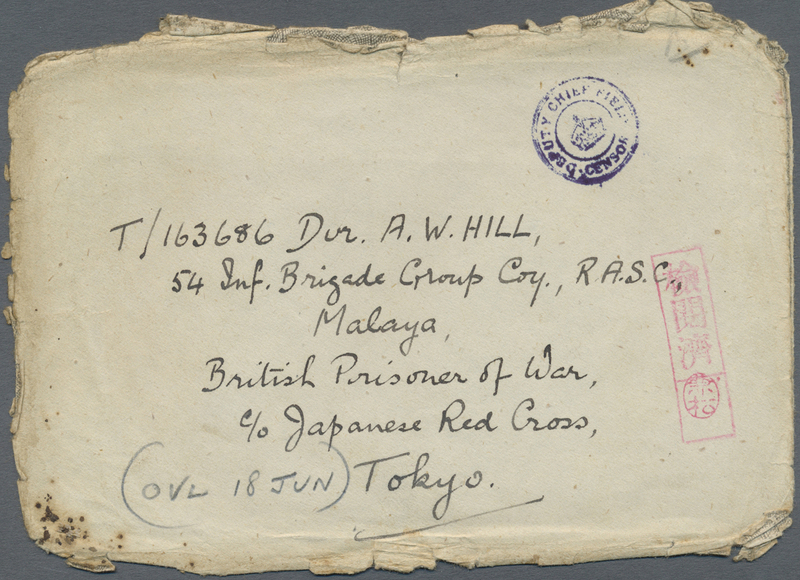 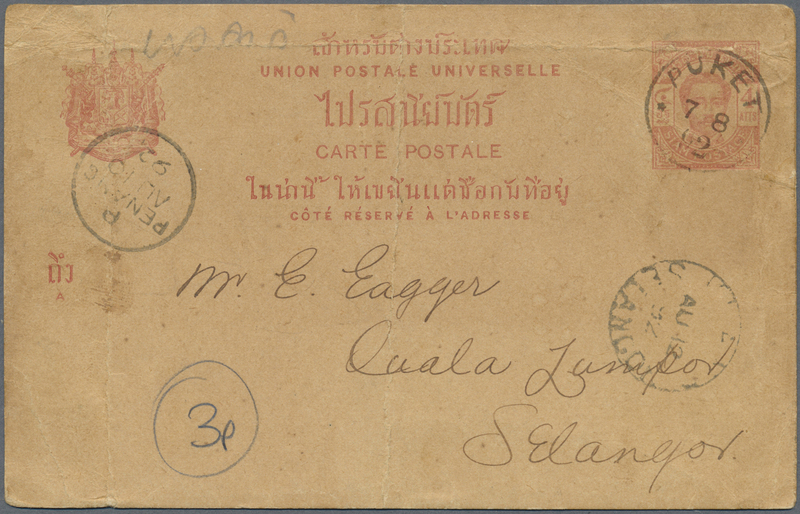 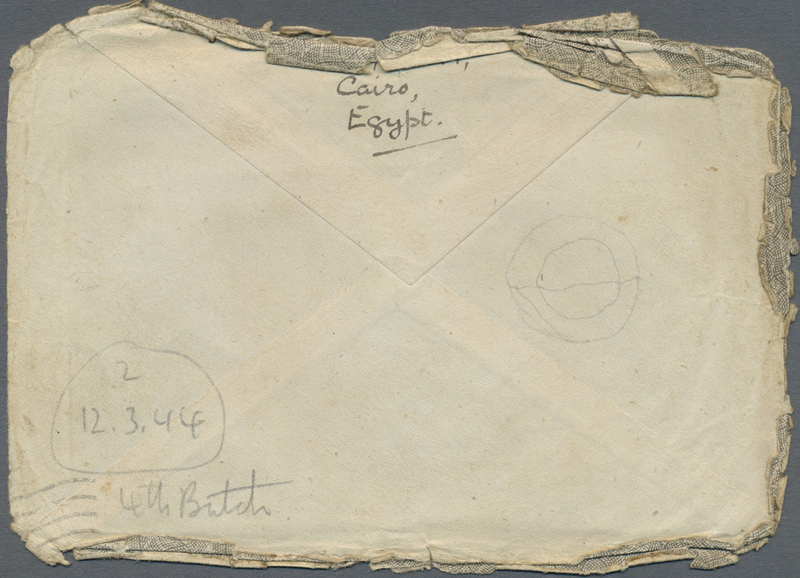 9958 Brief (cover) 1931.MISSENT TO BANGKOK: Cover from India addressed to Batu Bahat, Johore State, Malaya. 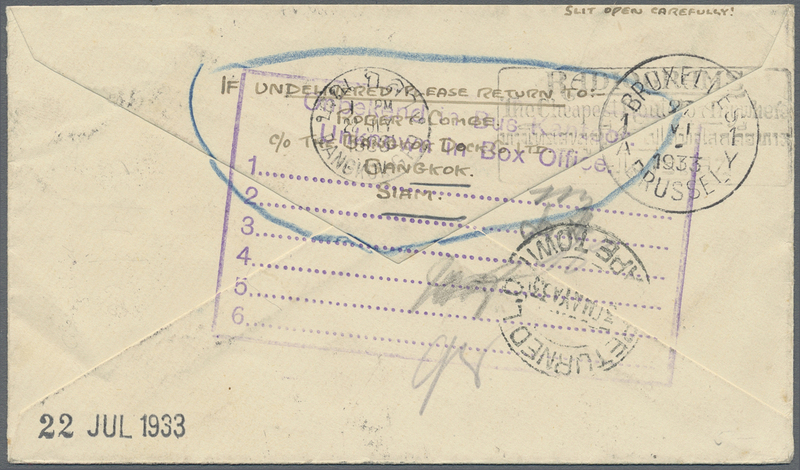 Missent to Bangkok, arriving 14 Nov 31 and rectangular "MISSENT TO BANGKOK” plus "T”applied, however overstroken by pen. 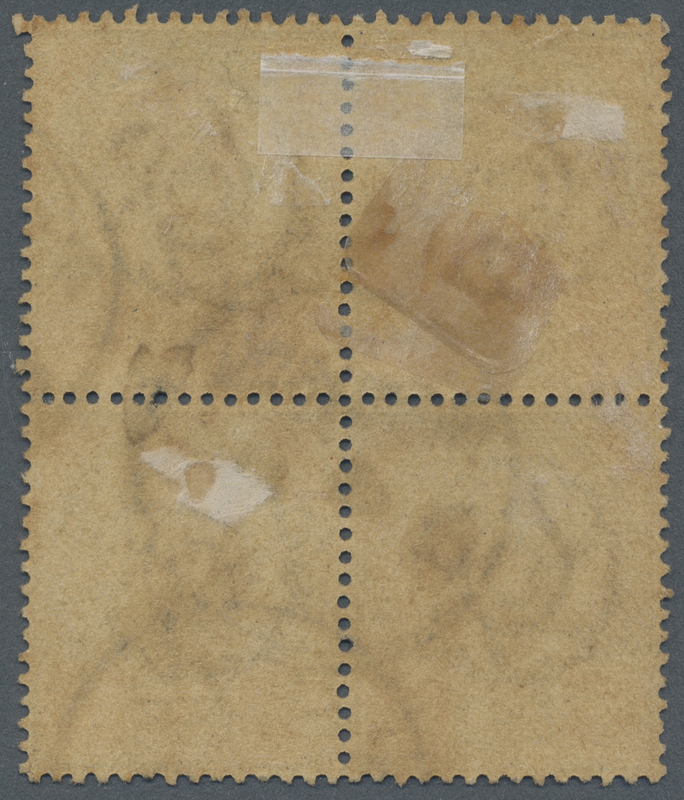 "10” in crayon. 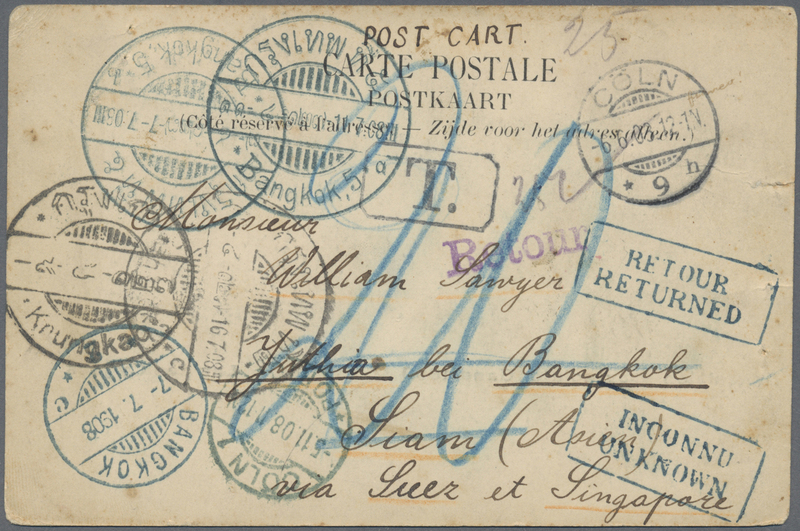 Forwarded via Singapore and Penang, 19 Nov. A most unusual routing! 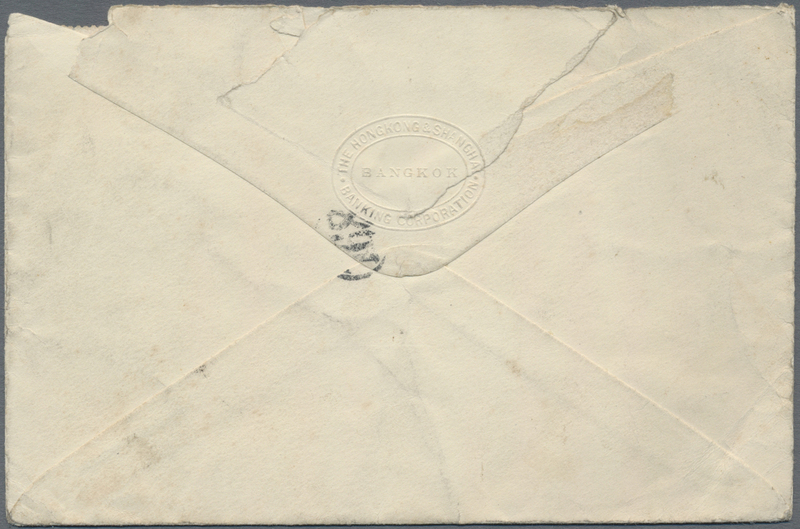 9960 4er (Block) gestempelt (marked) 30 (SG 69)(4) "PATTANI" native cds complete central strike on 1904 2a. 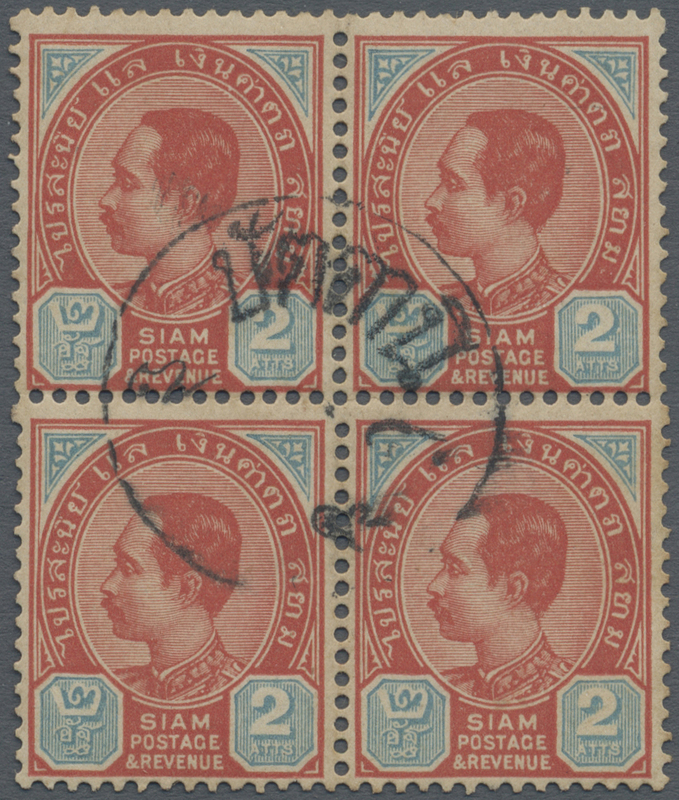 scarlet & pale blue block of four. 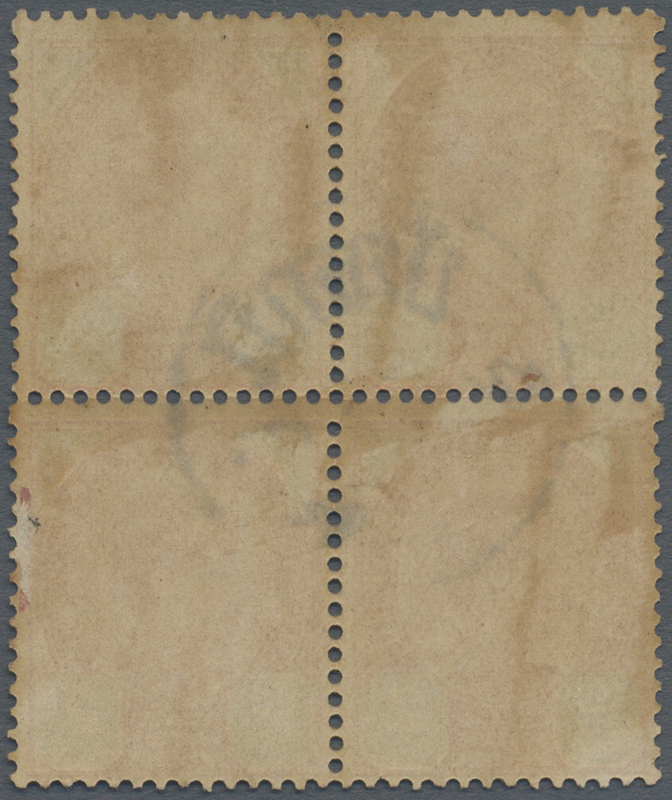 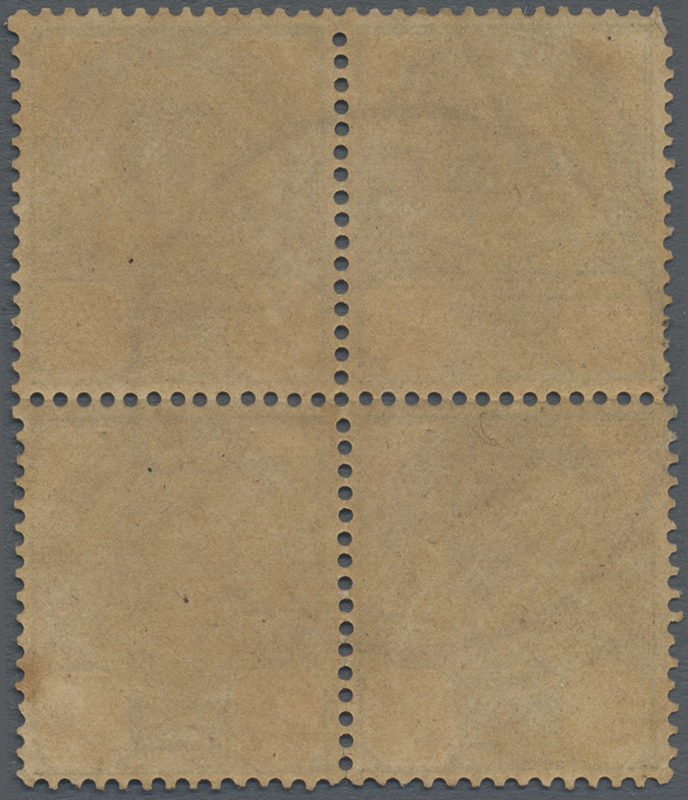 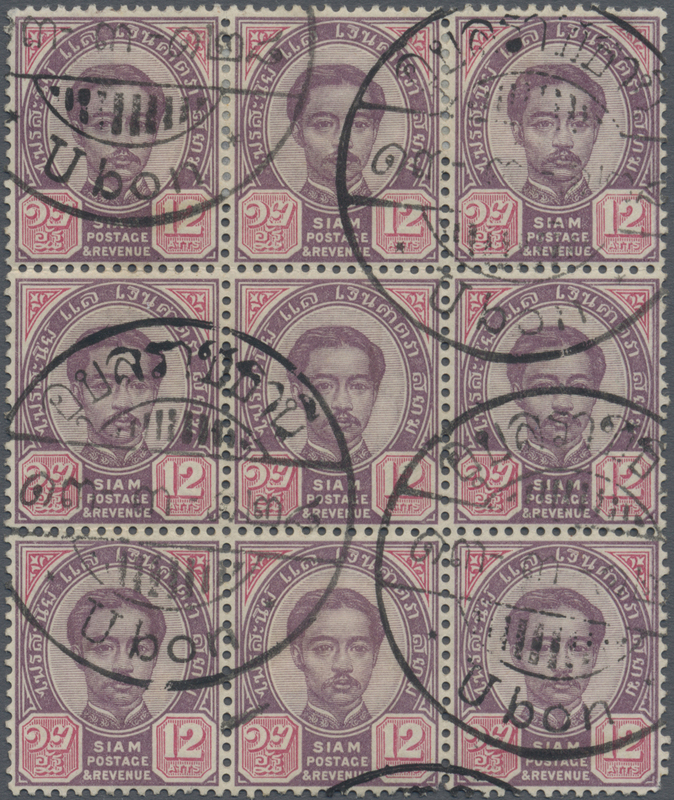 Bottom right stamp with thinned perfs at right otherwise fine. 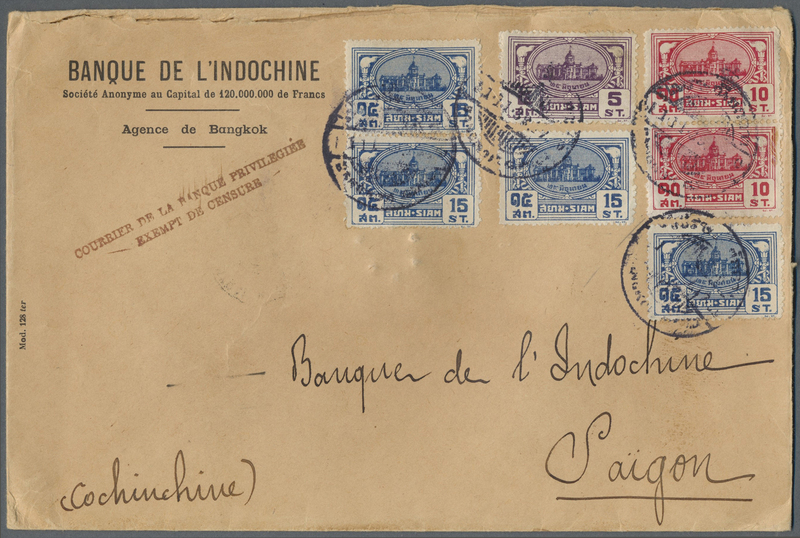 9961 gestempelt (marked) 28II (SG 67b)(6) "PHANG NGA" native cds, two complete and part strikes on 1904 1a. 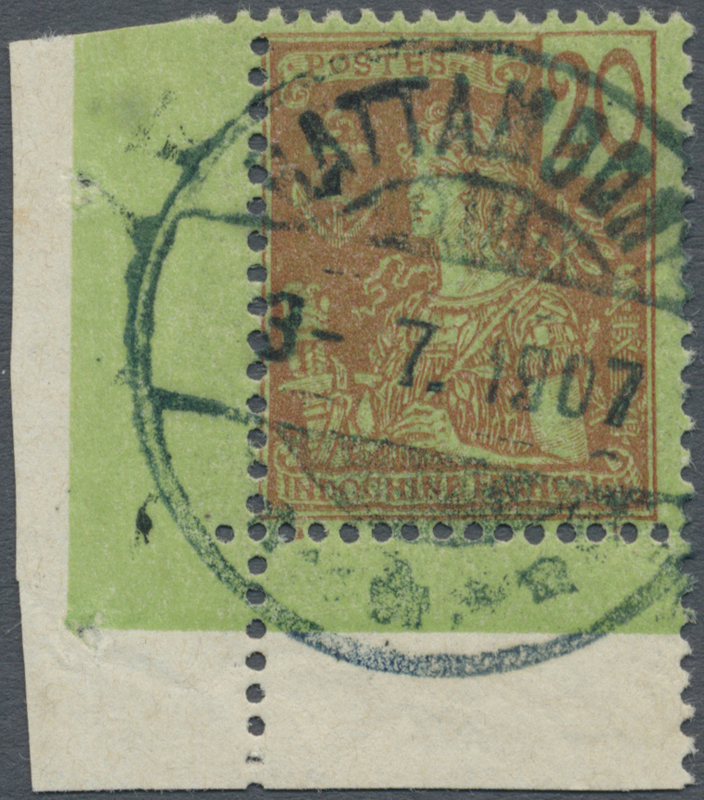 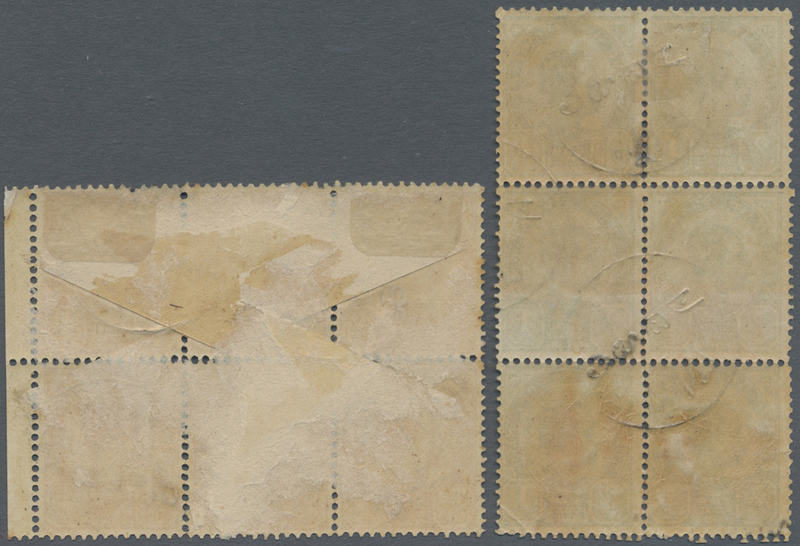 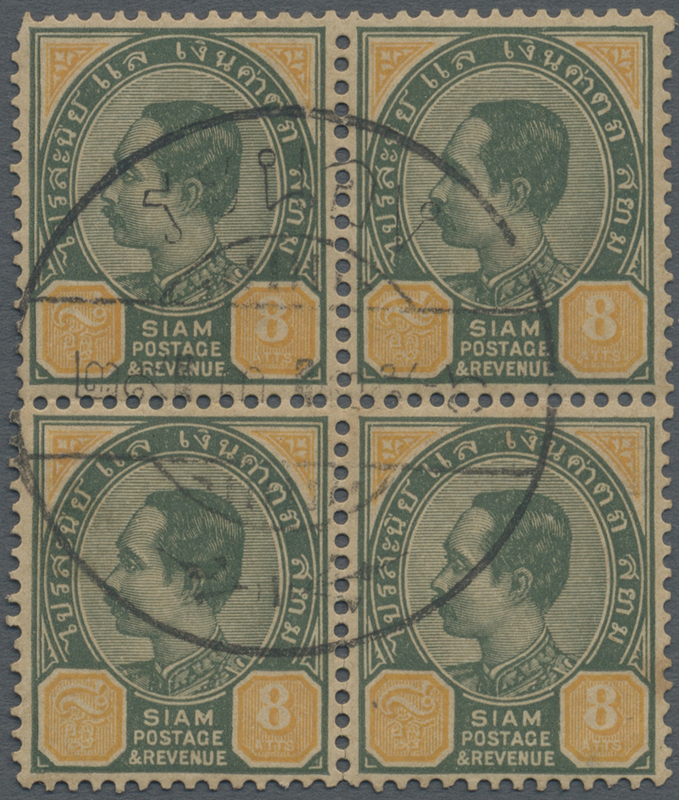 green vertical block of 6, lightly stained, and on 1899 4a. 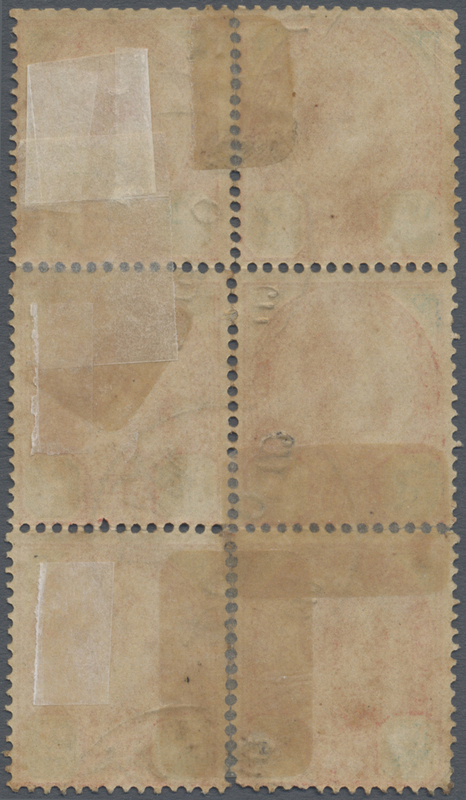 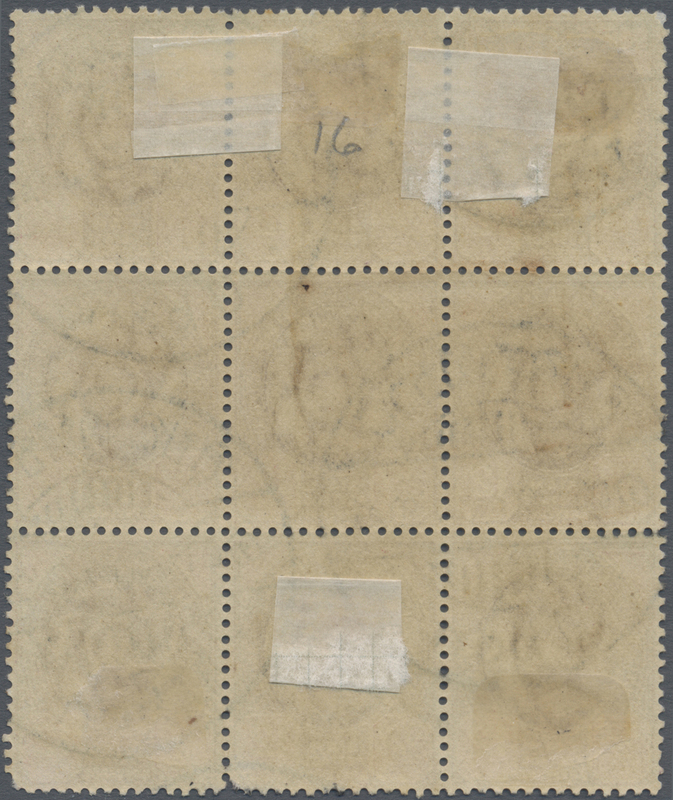 carmine right hand marginal block of 6, remnants of cover adhered on back, good to fine. 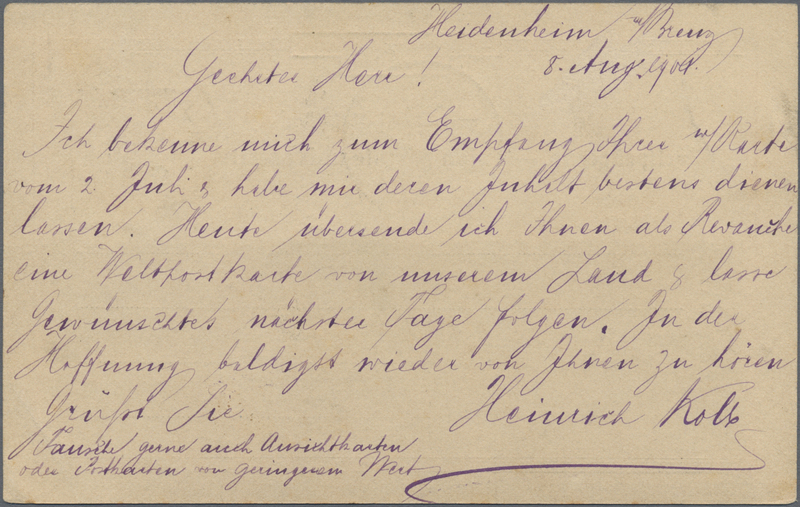 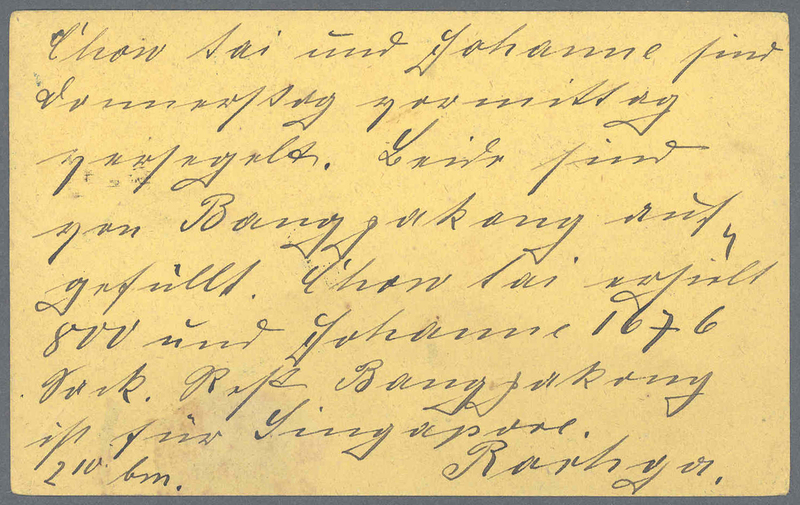 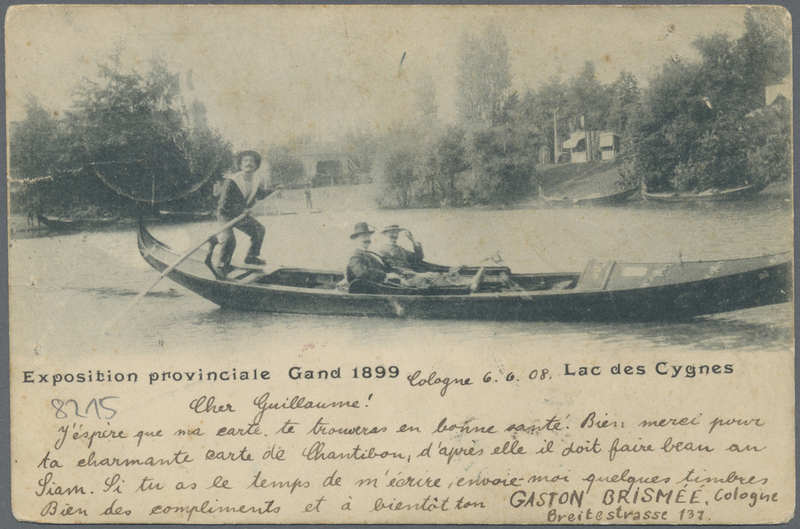 9964 Ganzsache (Complete) 1892, stationery card 4a. 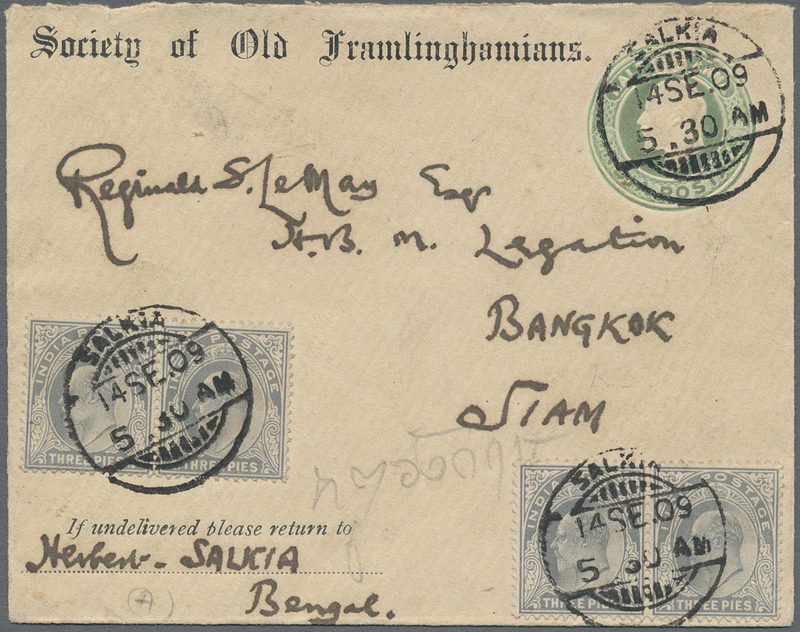 carmine from "PUKET 7/8 92"/Thailand, commercial usage with comprehensive message, transit mark "PENANG AU 10 92" and Selangor/Kuala Lumpur arrivals 12.8.92 on front and on reverse, faults/ageing marks but rarely seen! 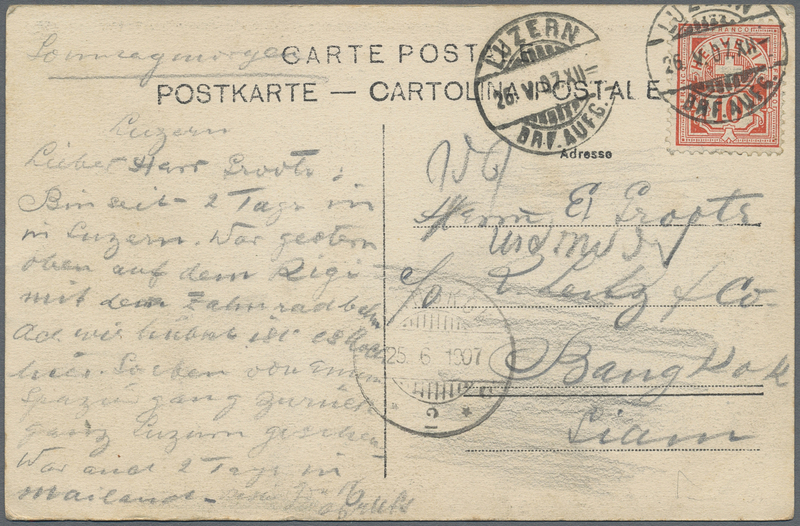 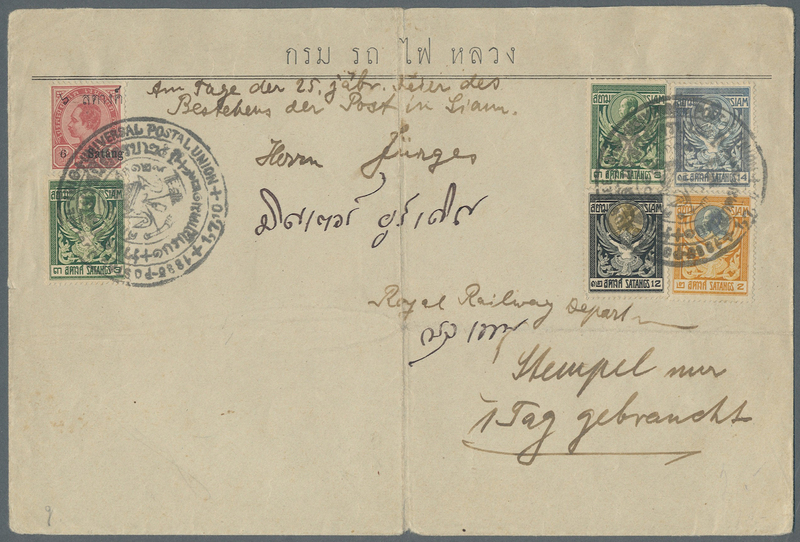 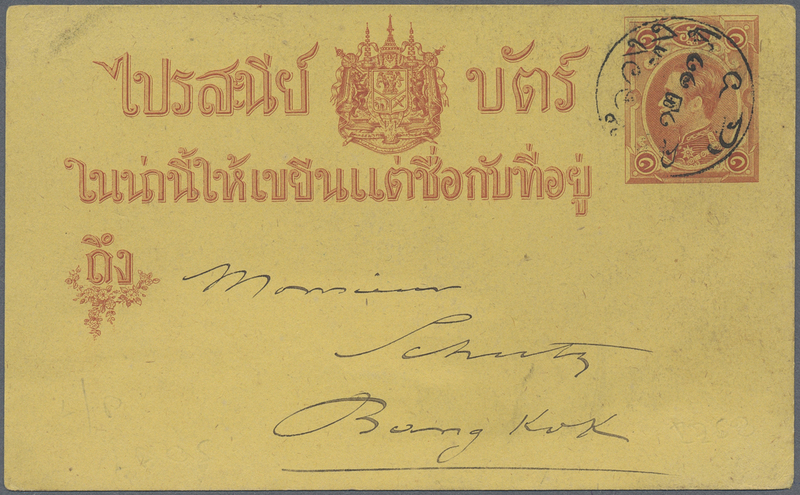 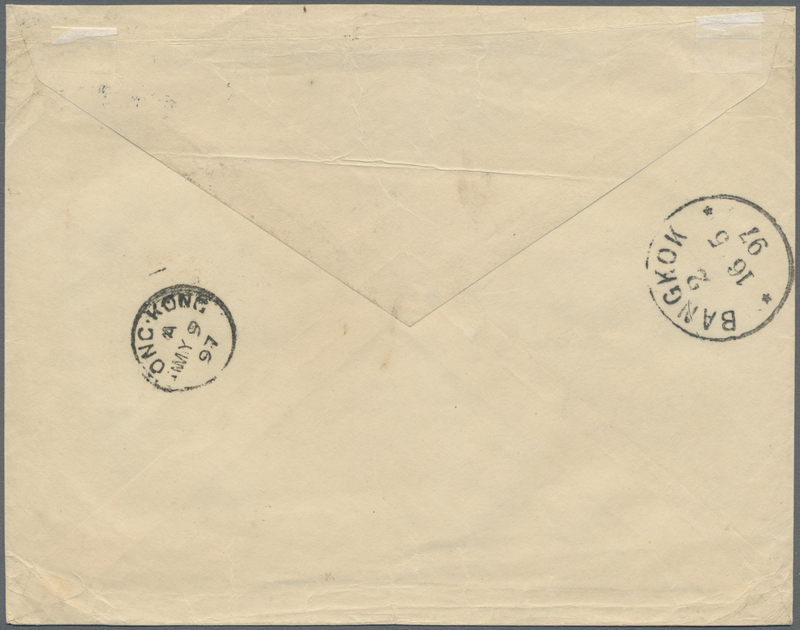 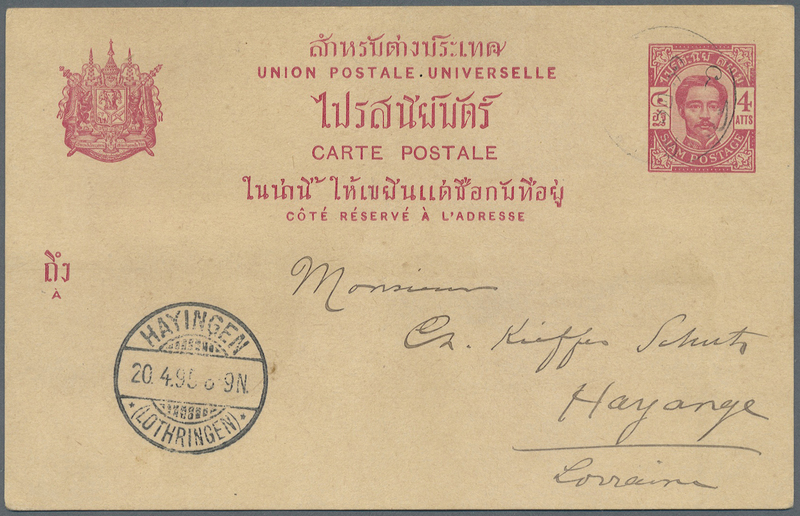 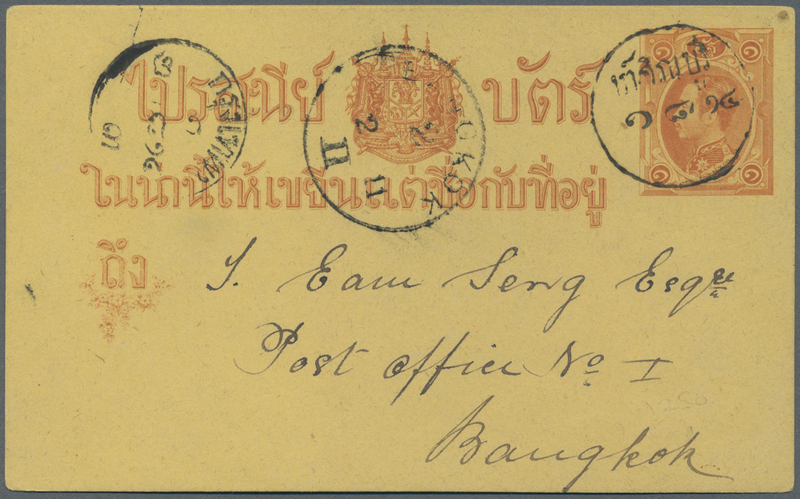 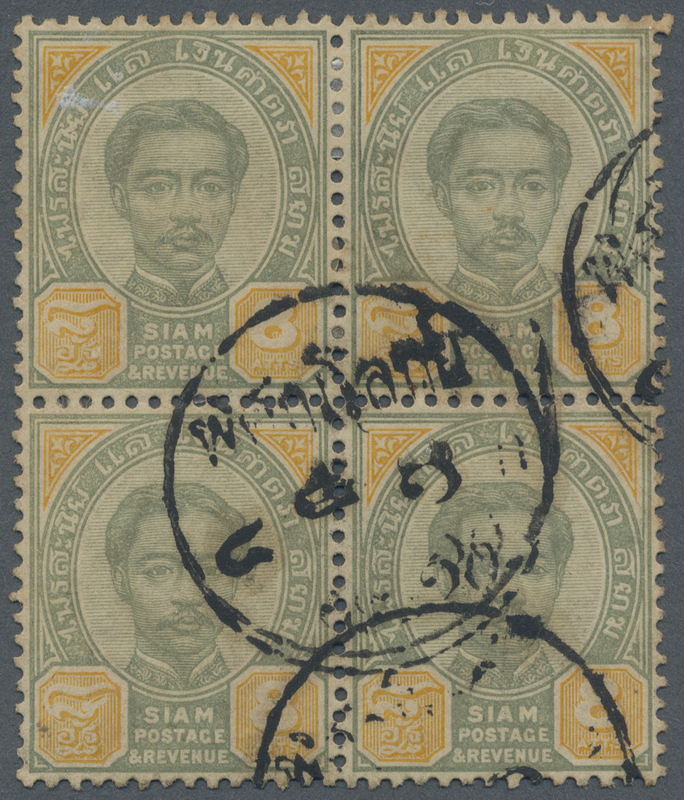 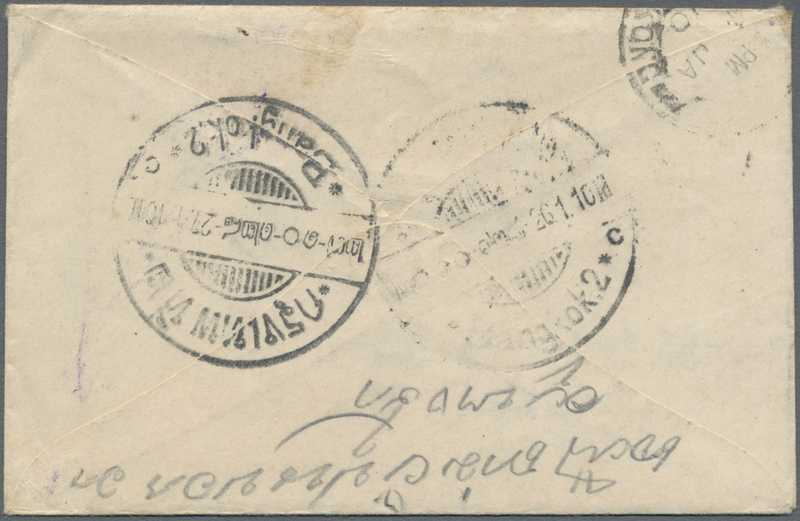 9965 4er (Block) gestempelt (marked) 36 (SG 75) (4) "RANONG" native cds complete strike on 1899 8a. 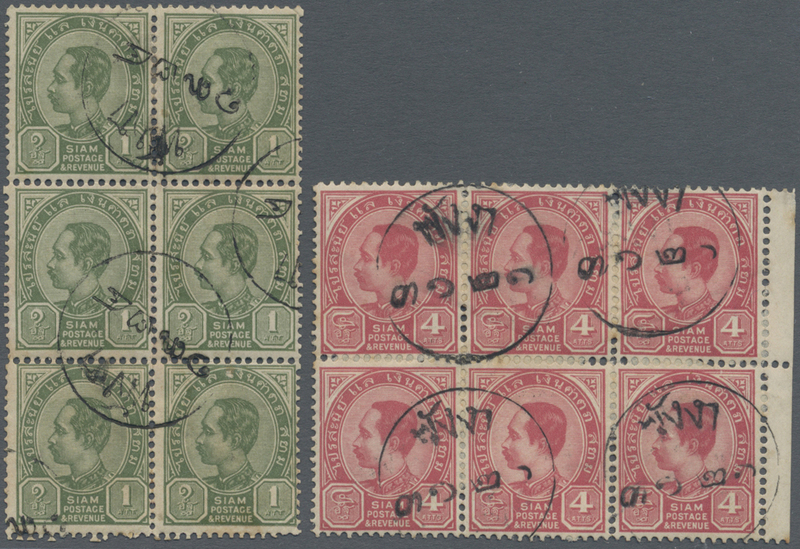 deep green & orange block of four, lightly toned, fine. 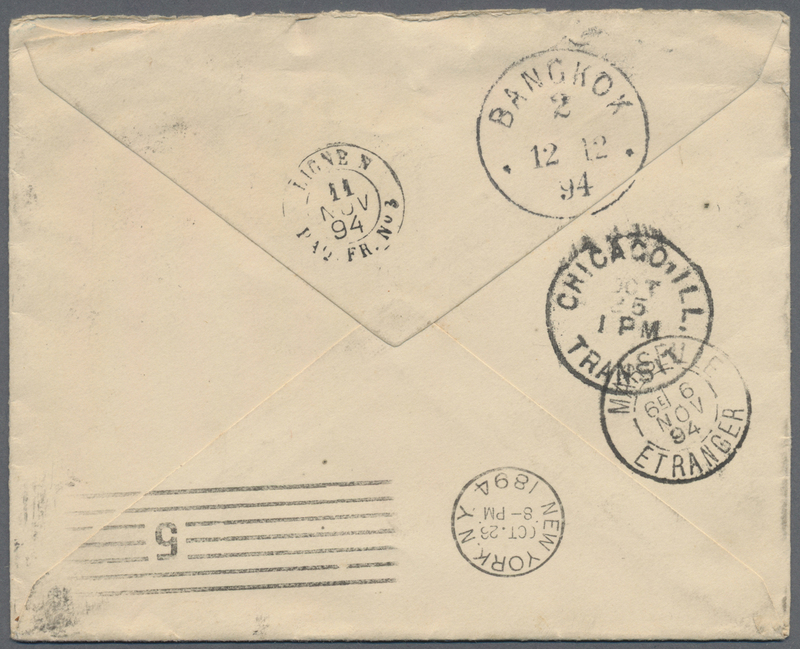 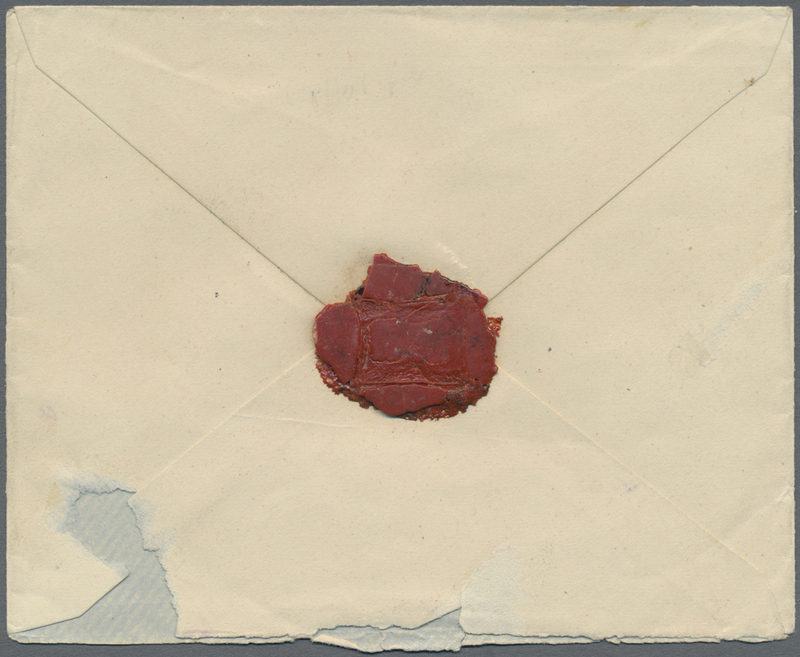 9971 Brief (cover) Incoming mail, 1888, New Koban 10 S. tied "YOKOHAMA 28 APR 97" to cover to Hon. 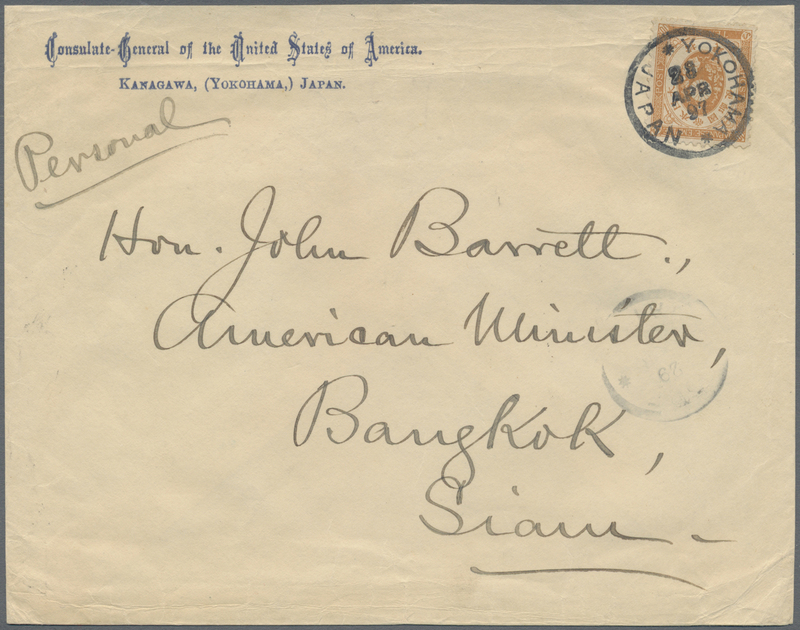 John Barrett, American Minister at Bangkok/Siam, transit "HONG KONG MY 9 97", arrival "BANGKOK2 16 5 97". 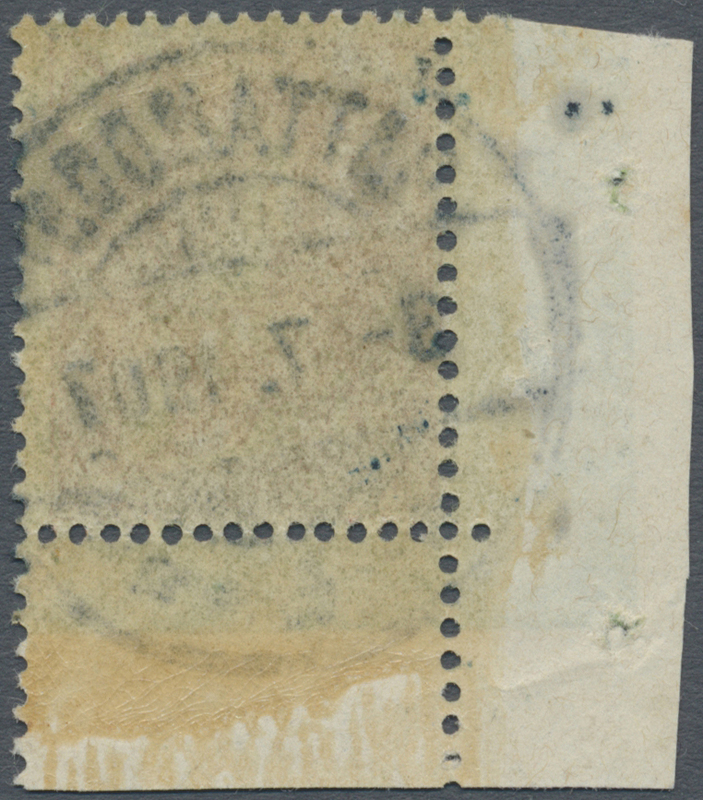 Printed return of "Consulate General of the United States of America. 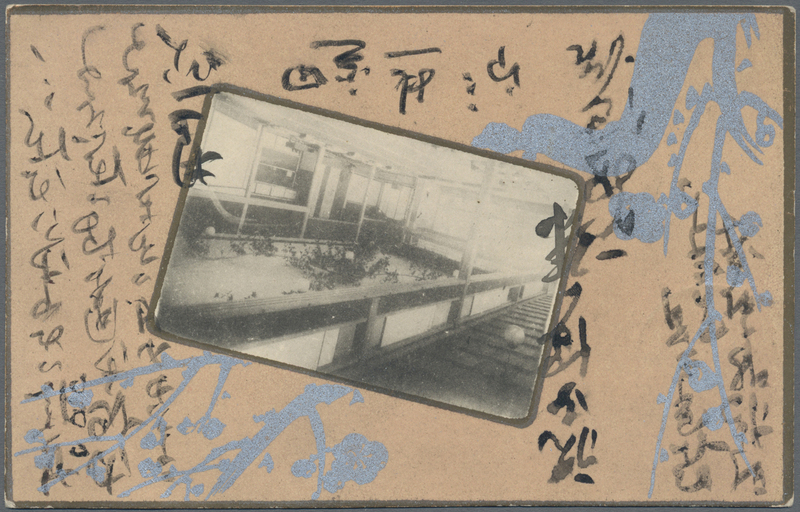 / Kanagawa, (Yokohama) Japan. 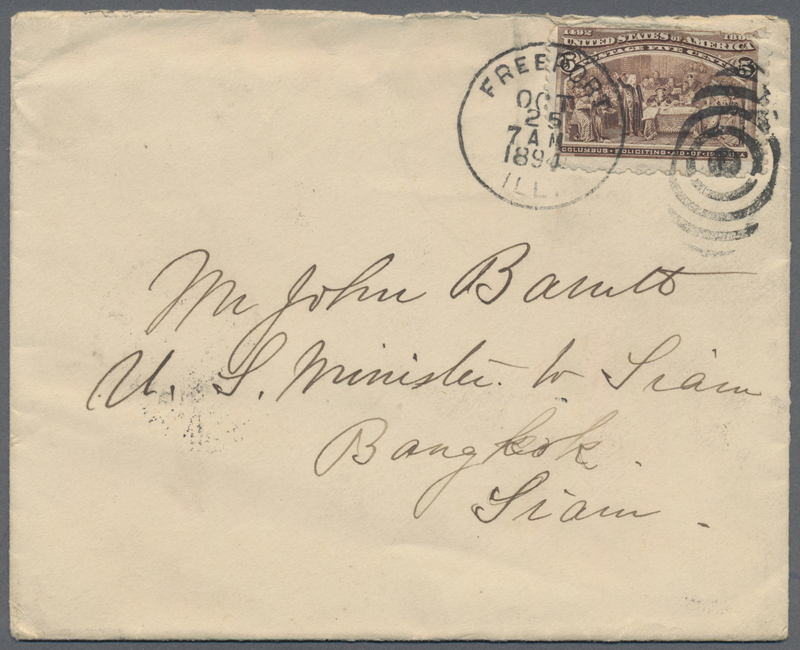 9973 Brief (cover) 1894, incoming cover from Freeport/USA 25.10. bearing 5c. 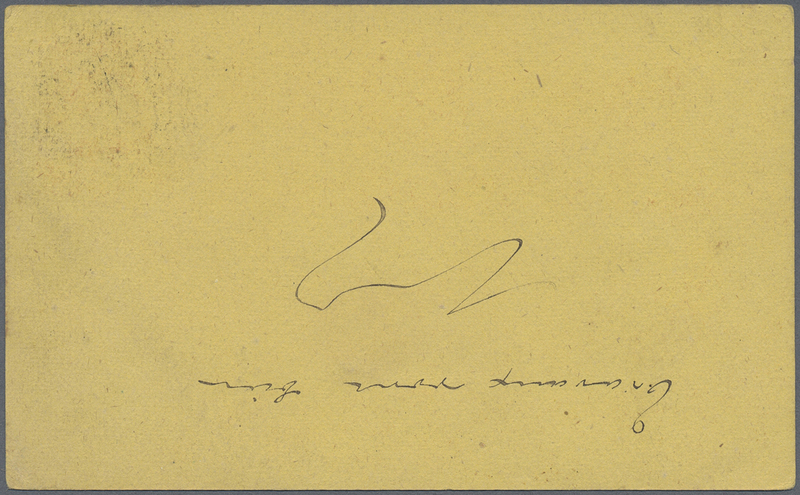 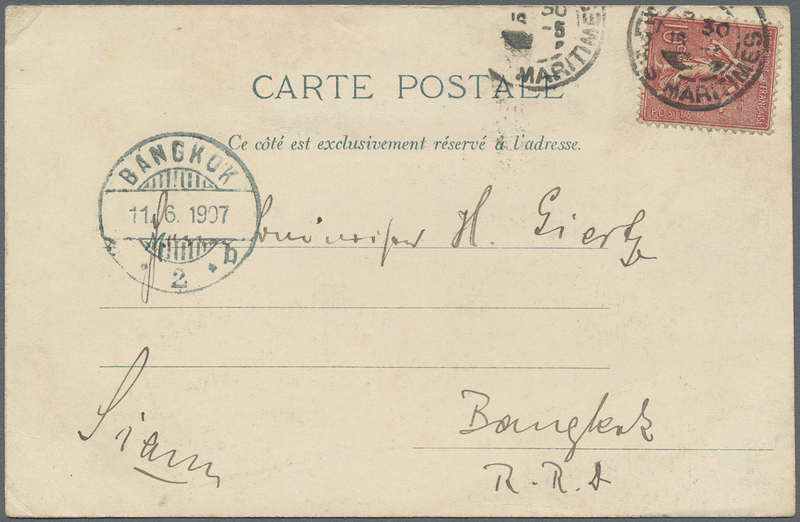 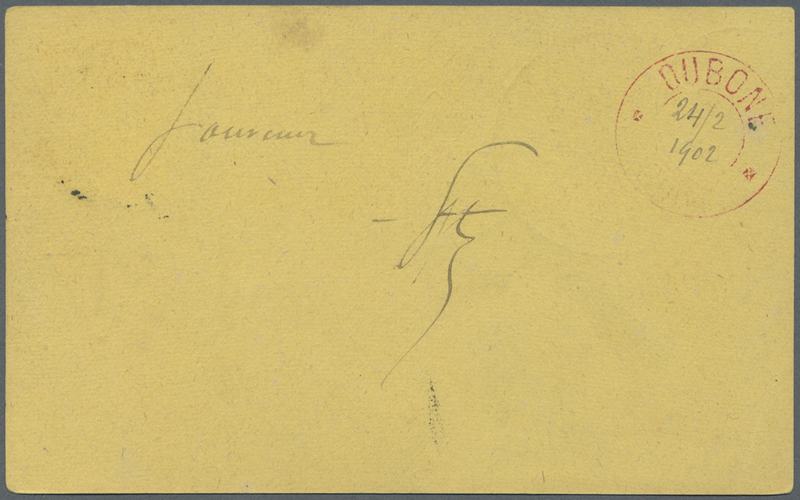 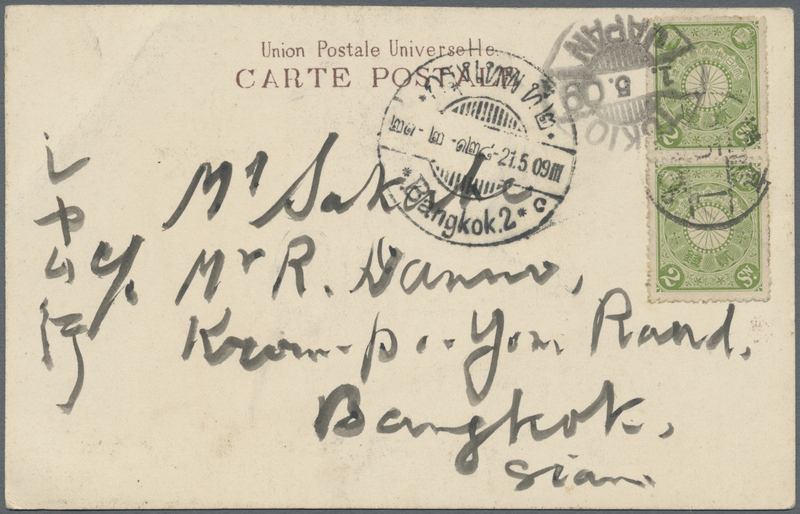 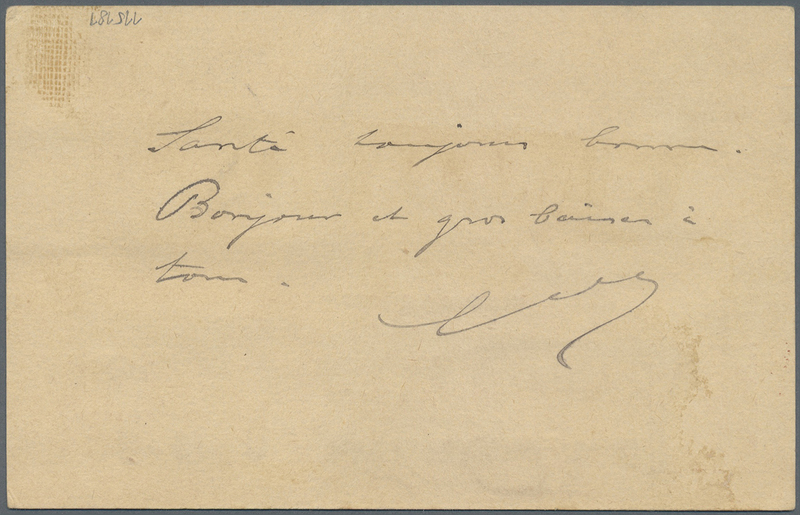 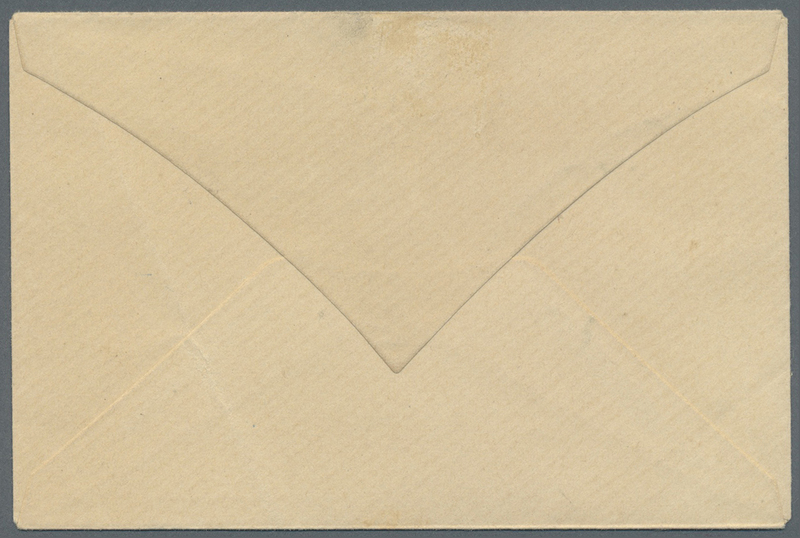 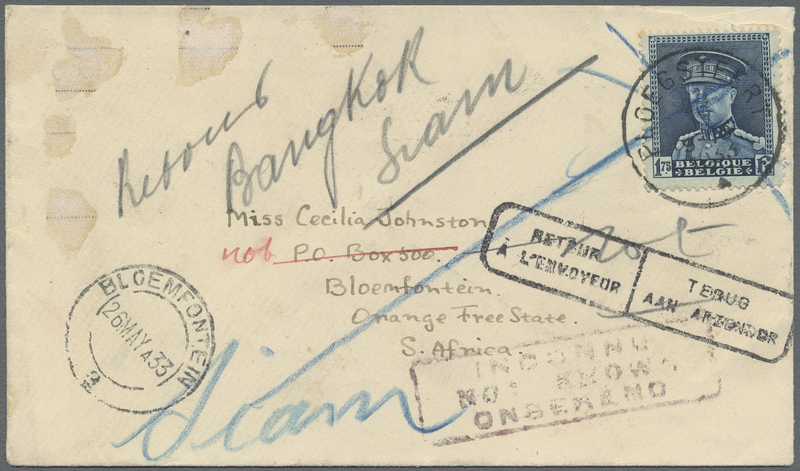 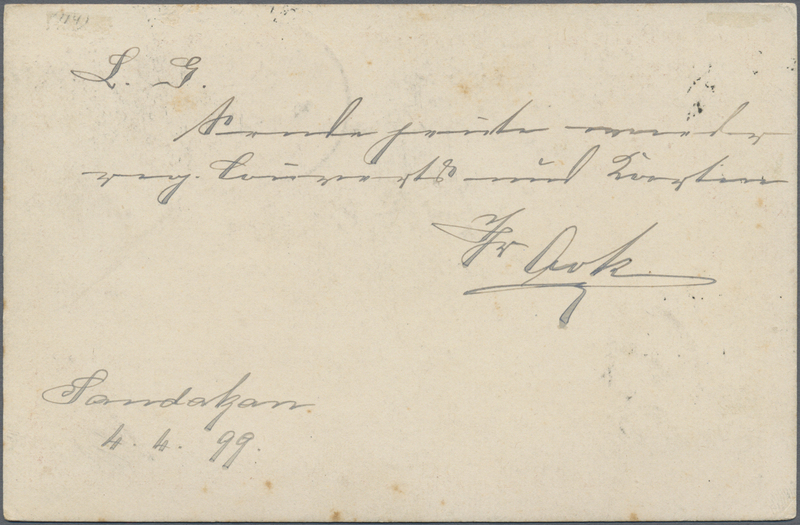 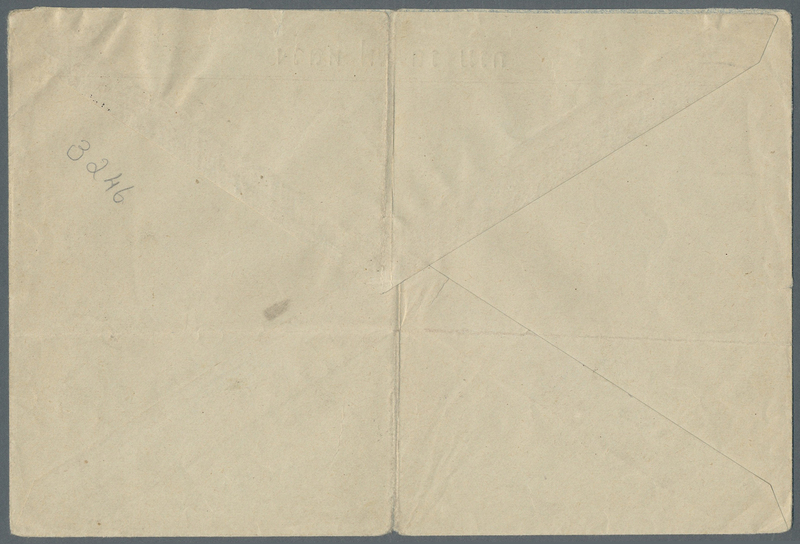 Columbus (faults), addressed to U.S. Minister in Bangkok/Siam, on reverse transit marks "CHICAGO 25 OCT", "NEW YORK 26.10. 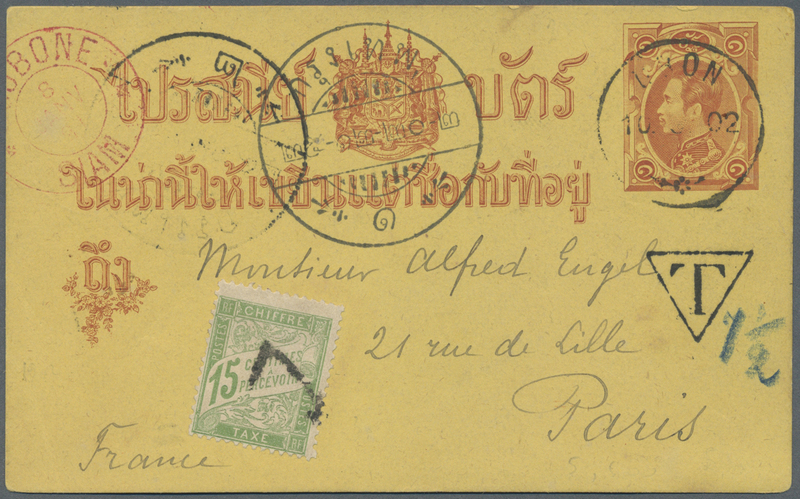 ", "MARSEILLE 6 NOV", French steamer 11 NOV and Bangkok arrival 12.12.94. 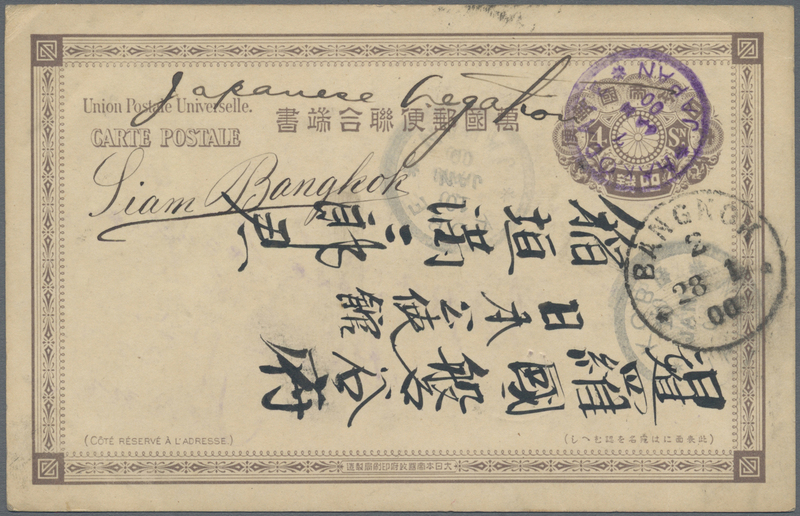 9976 Ganzsache (Complete) Incoming mail, Japan, 1900, UPU card 4 sen canc. 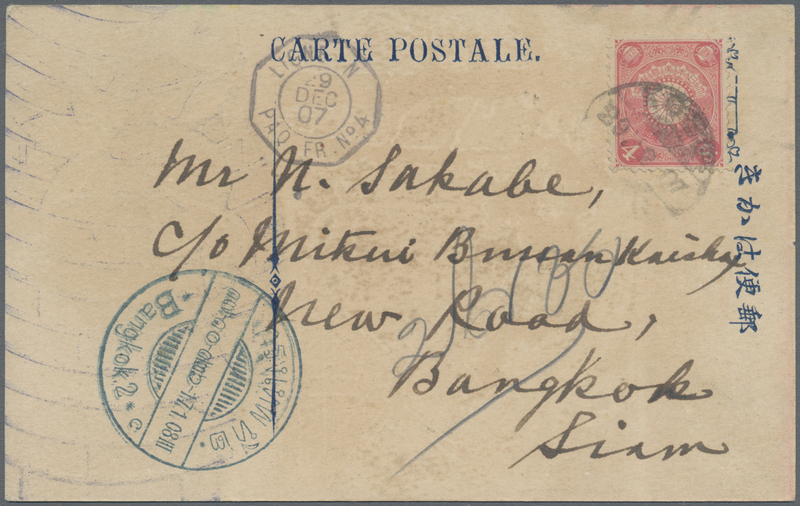 "HAKODATE 7 JAN 00" to Japanese Legation Bangkok/Siam, transit "KOBE 10 JAN 00", arrival "BANGKOK2 28 1 00". 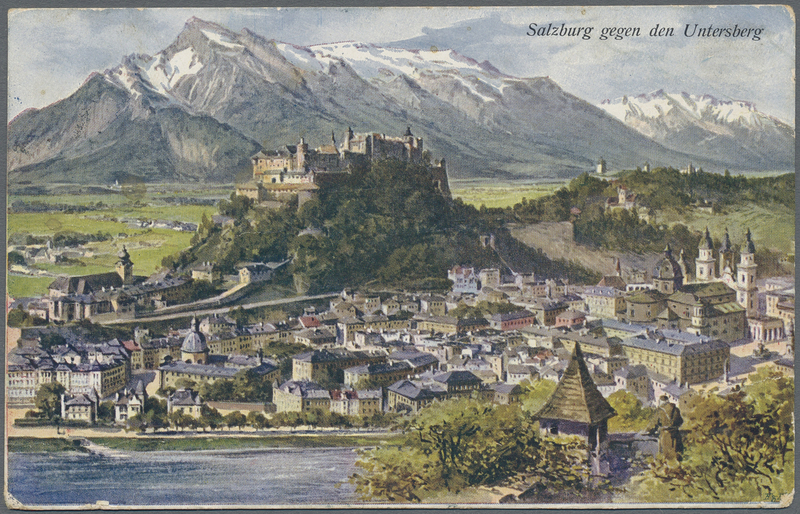 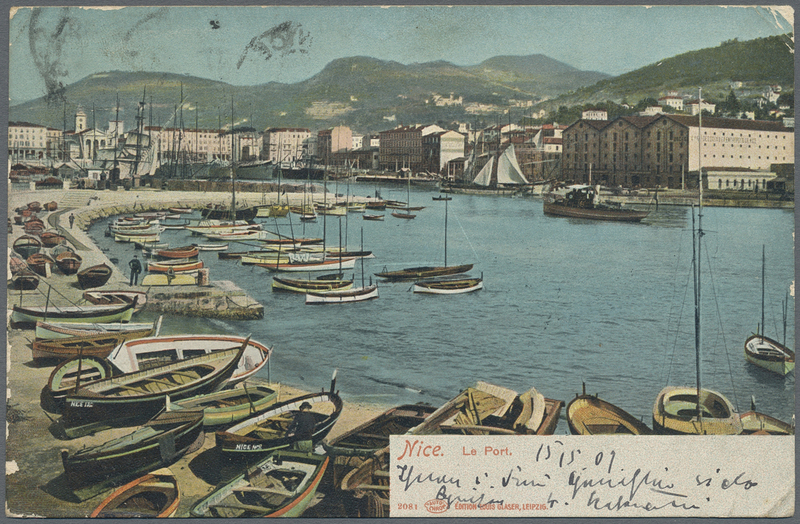 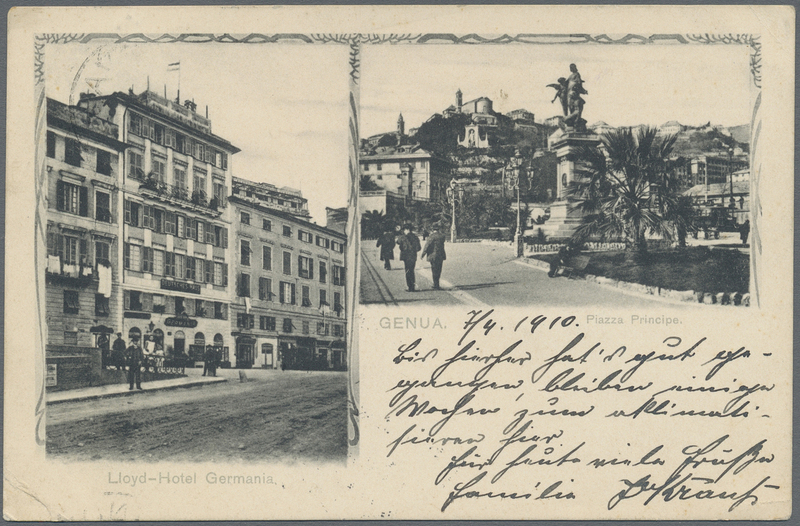 9981 Ganzsache (Complete) 1905, card canc. 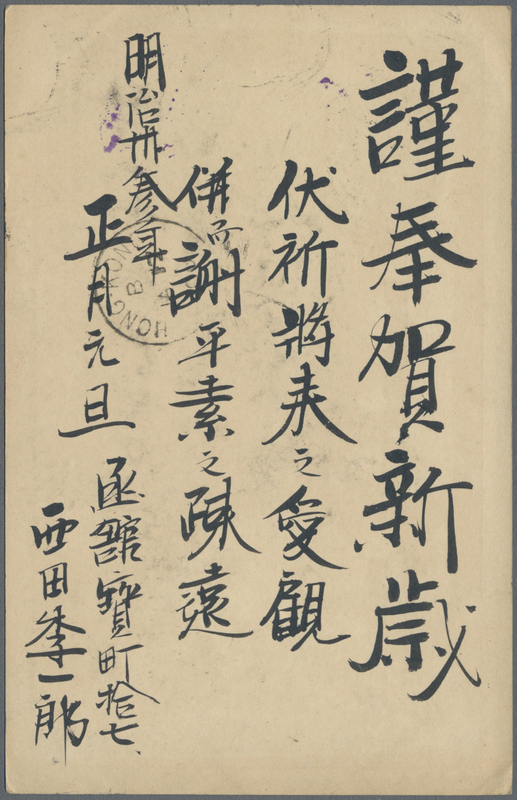 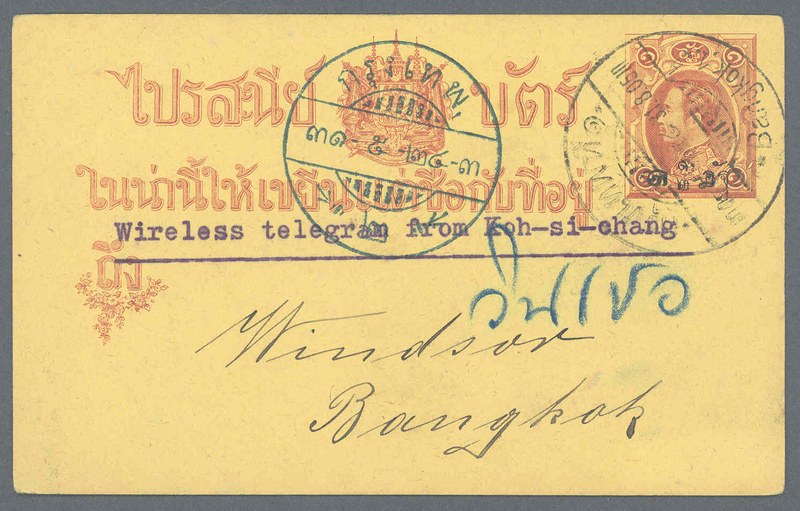 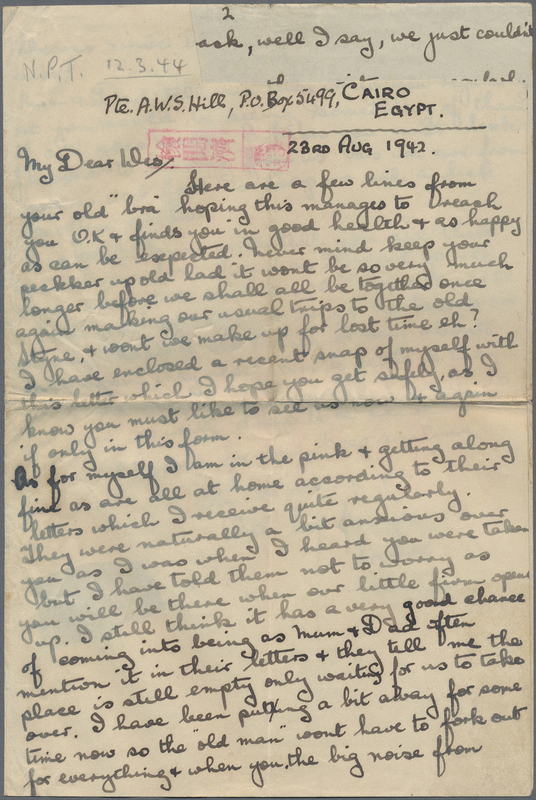 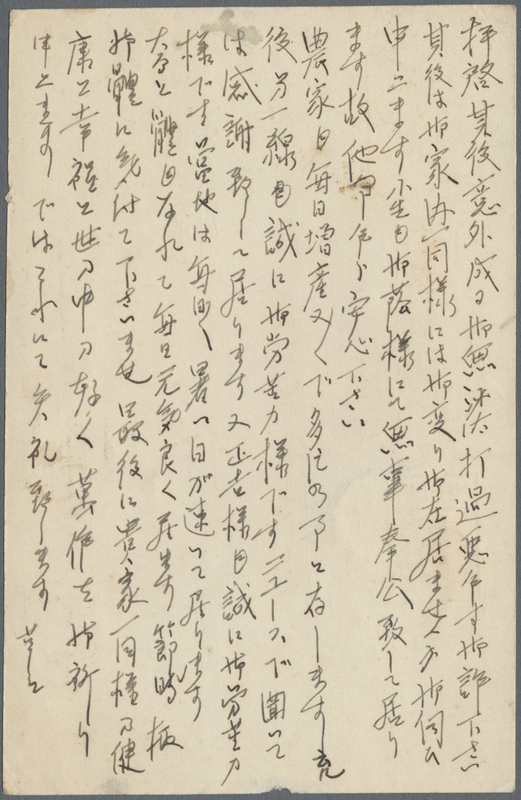 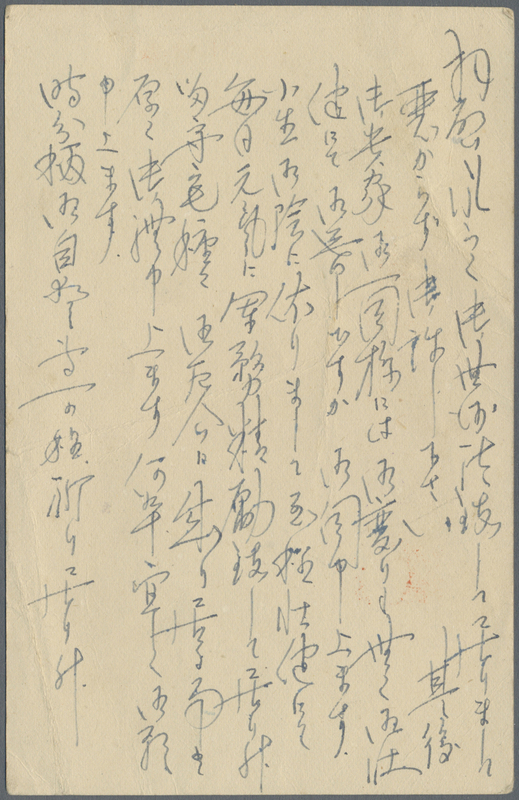 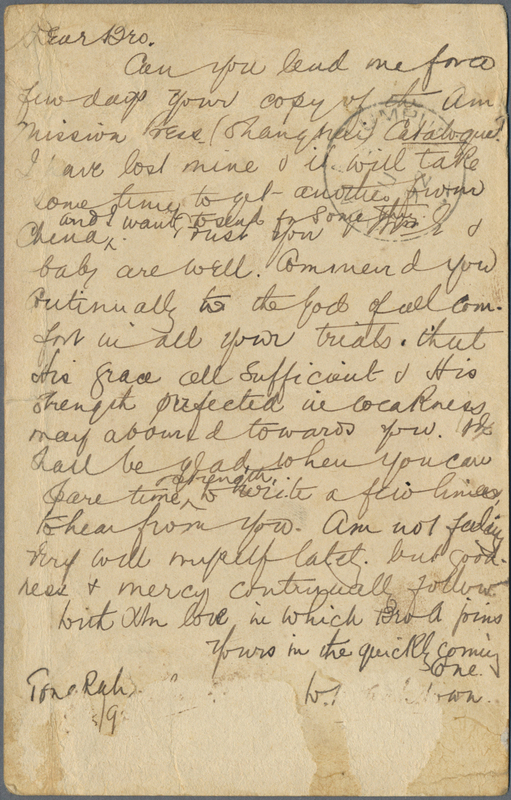 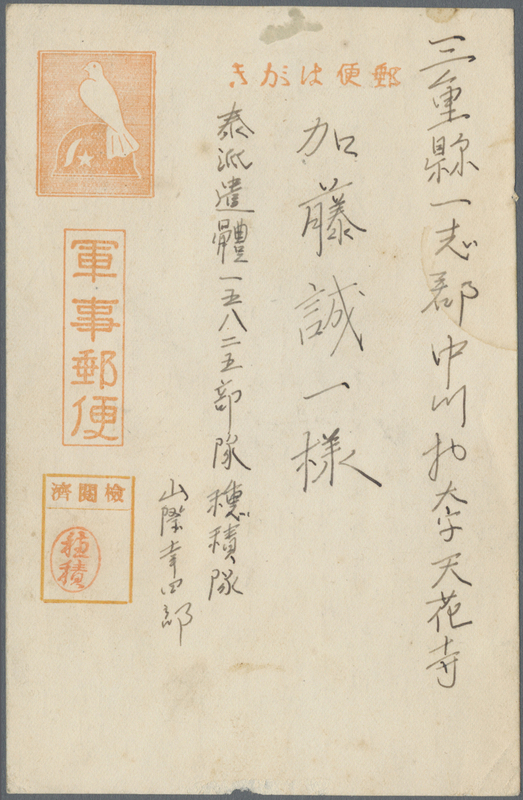 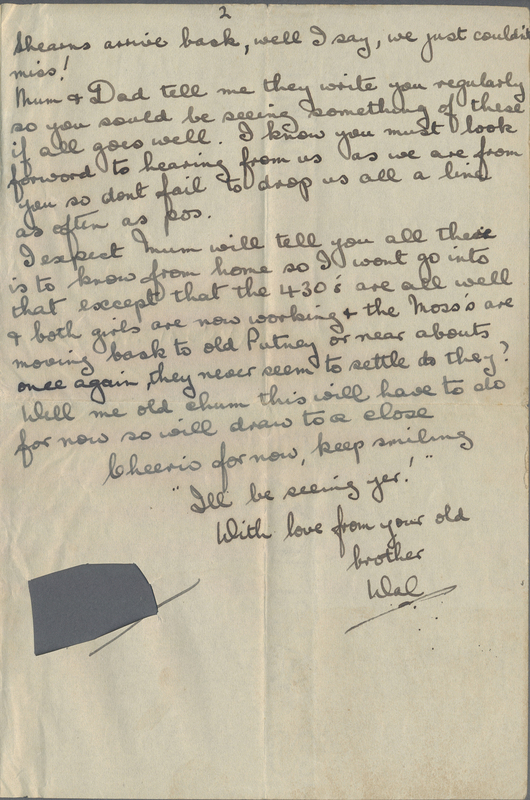 "BANGKOK 2 31.8.05” w. typewritten note "Wireless telegram from Koh-si-chang”, early document of the wireless telegraphy just introduced to Siam in 1904, with the receiver placed in the painting room of the King. 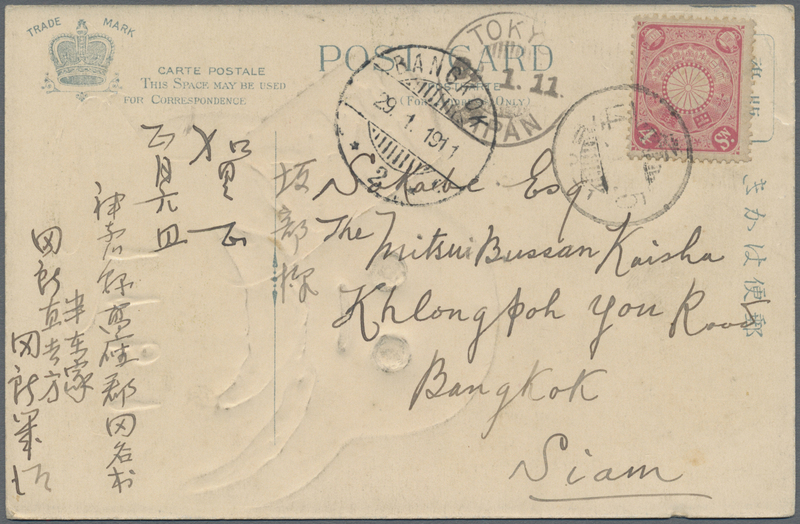 Koh-si-chang was the only telegraph reception station in Siam, great rarity - only very few items known. 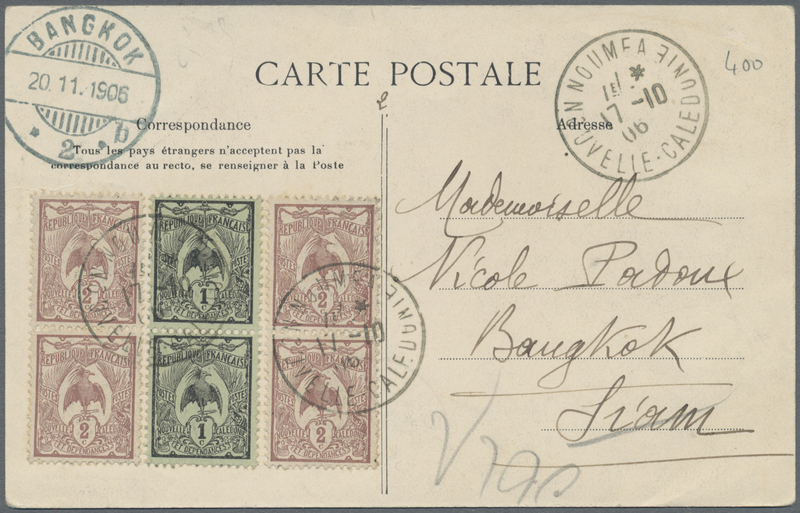 9982 Ansichtskarte (Picture postcard) 1906, New Caledonia postage stamps on picture-postcard from New Caledonia to Thailand, arrival stamp Bangkok. 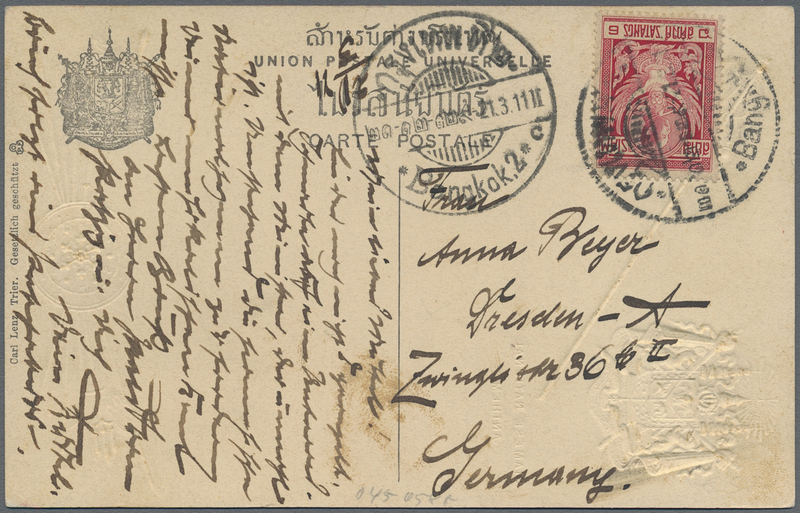 9983 Ansichtskarte (Picture postcard) 1908, postcard mailed unfranked from Cologne/Germany to Bangkok, struck with "Cöln" despatch c.d.s. 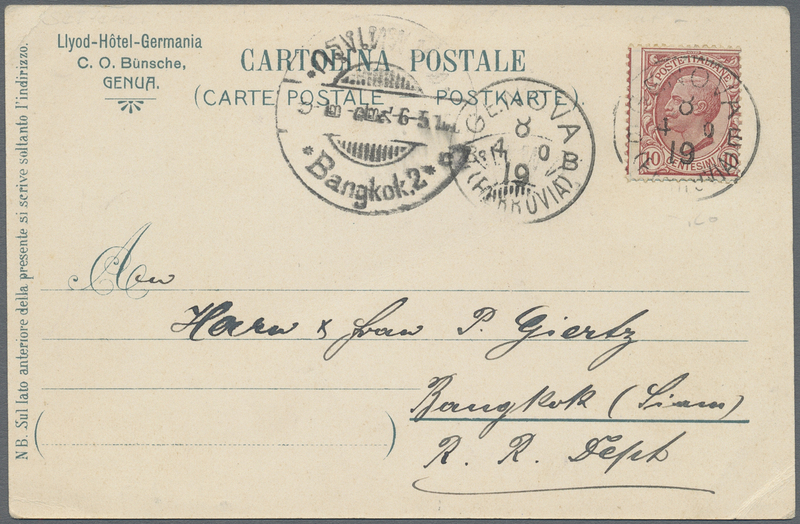 (June 6) and framed 'T' marking in black, on arrival the card was cancelled by "Bangkok" datestamps (four different, three are in blue) and "Krungkao" c.d.s. 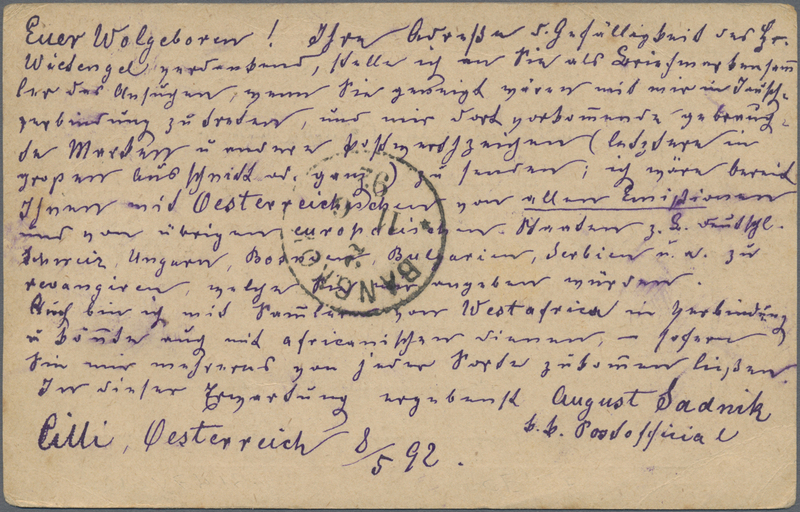 dated between July 7-16. 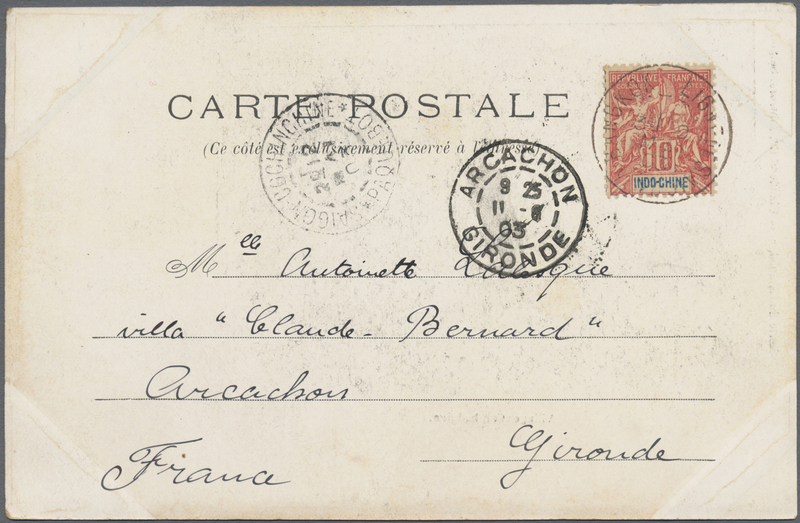 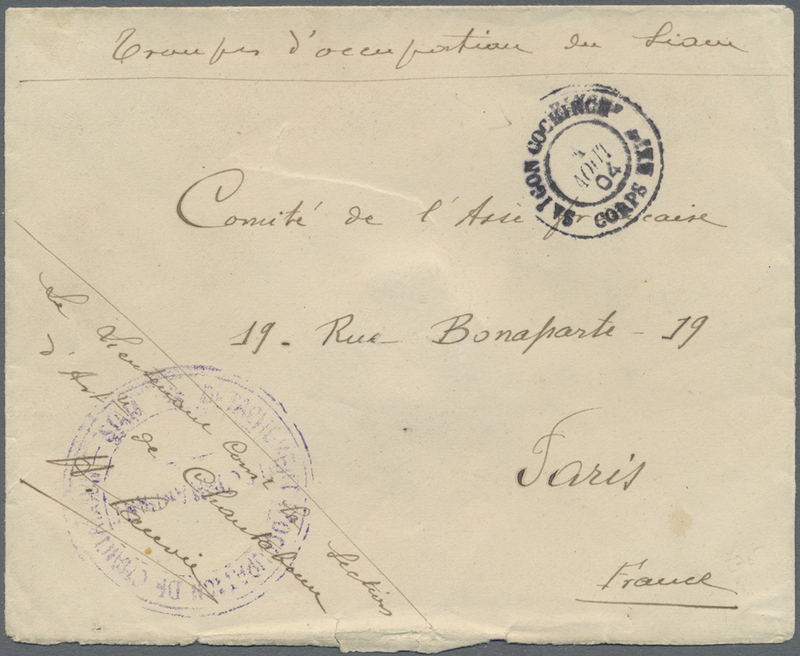 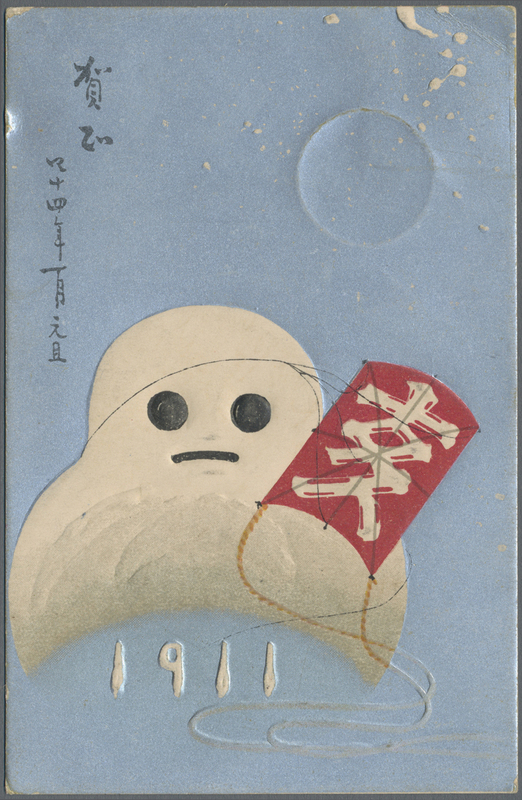 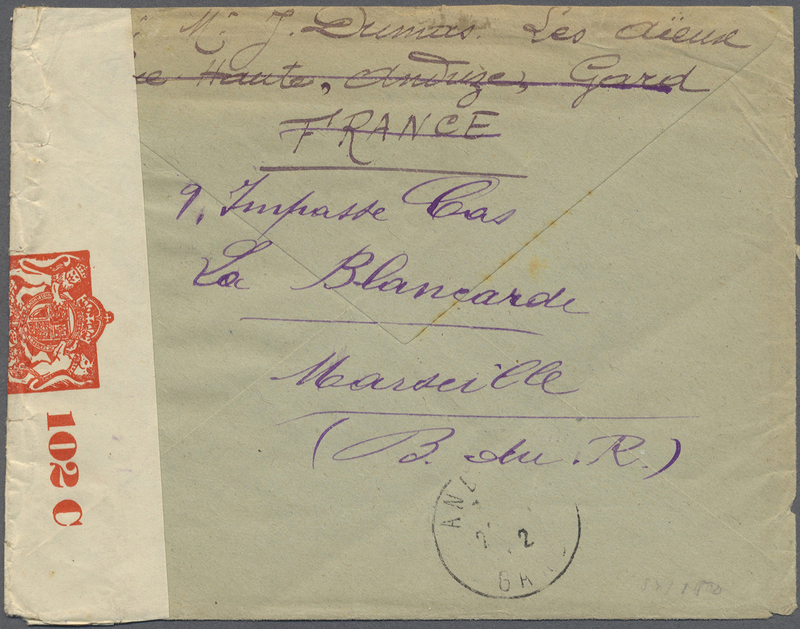 The addressee not found and the card struck by "INCONNU / UNKNOWN" and "RETOUR / RETURNED" handstamps in blue. 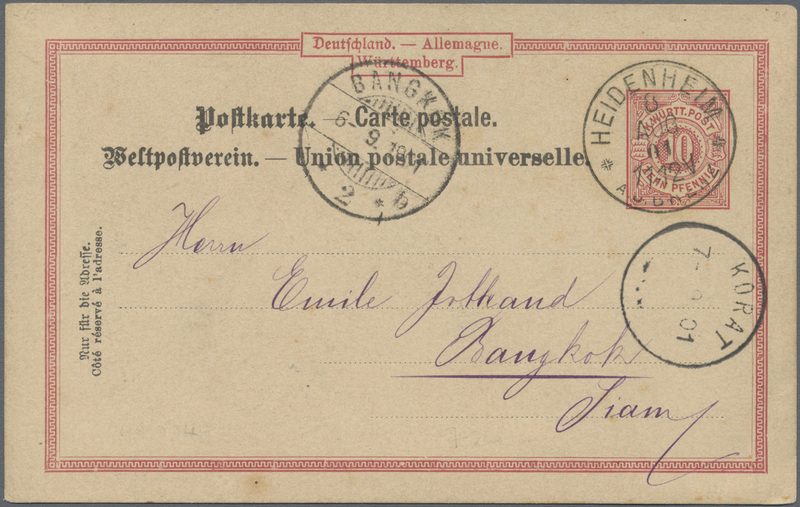 Cologne re-arrival c.d.s. 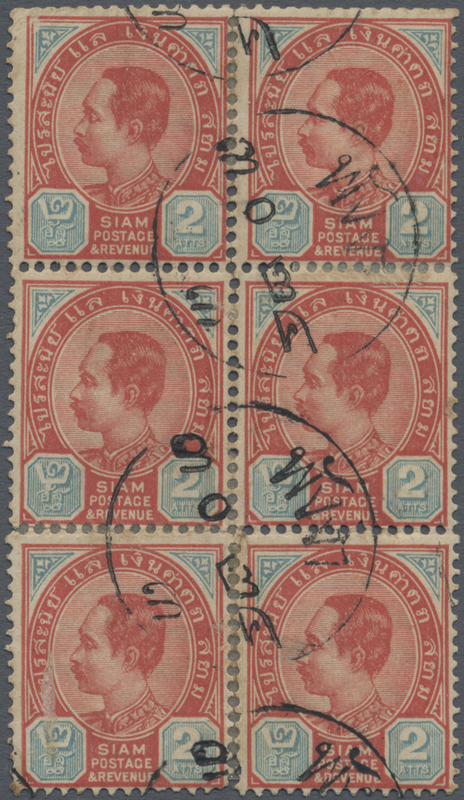 in blue (Nov 5) having been held for the required month in Bangkok. 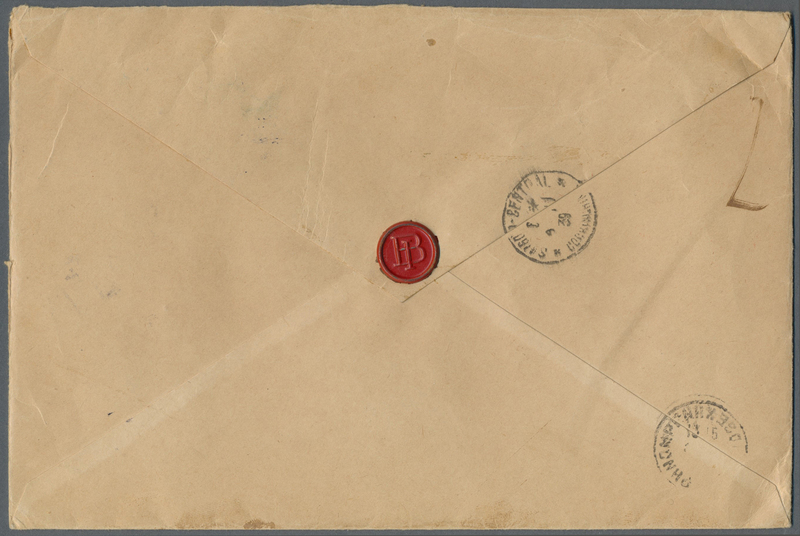 Scarce and attractive! 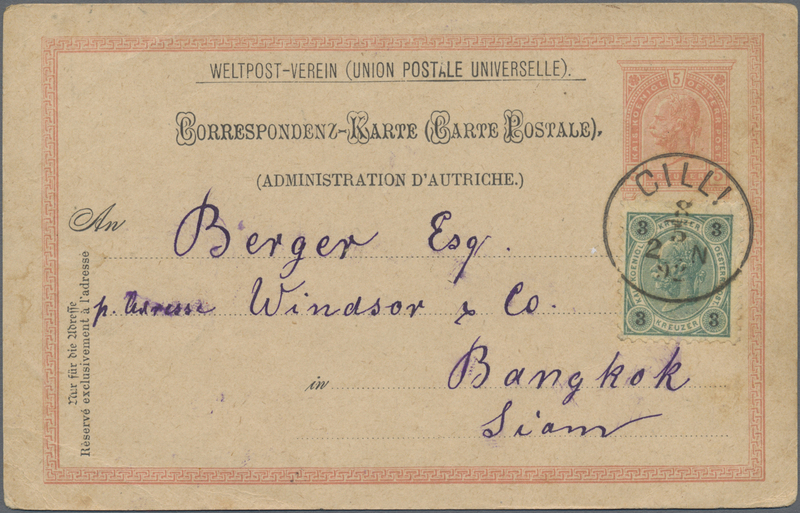 9984 Ansichtskarte (Picture postcard) 1909/11, two ppc used Tokyo or Kobe to Bangkok/Siam w. arrivals of "Bangkok.2 17.1.08" (large type in blue) or "BANGKOK2 23.10.1907" (small type), one with transit of french mail steamer "LIGNE N No. 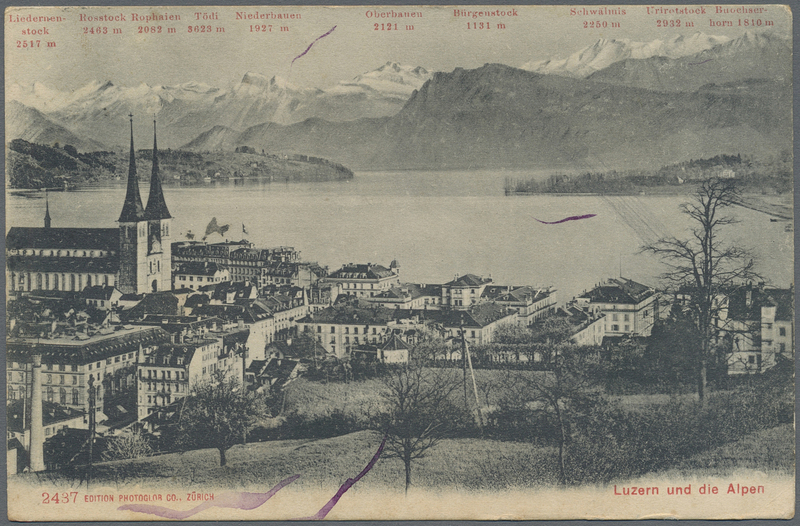 4 29 DEC 07". 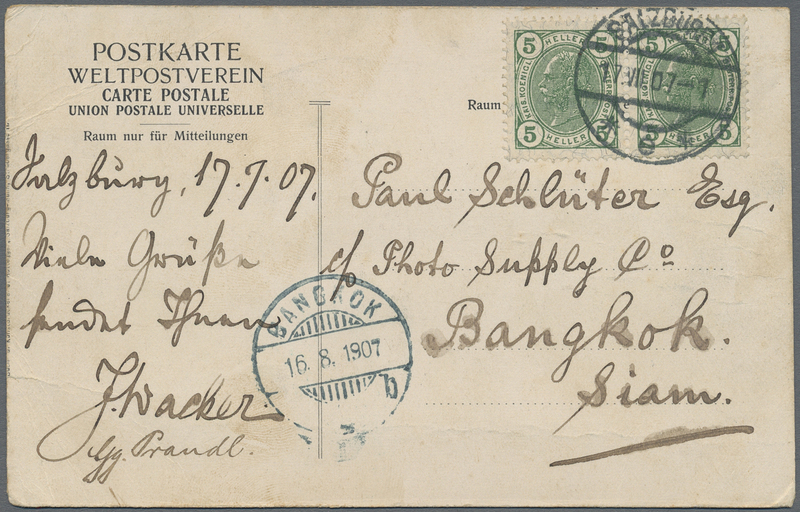 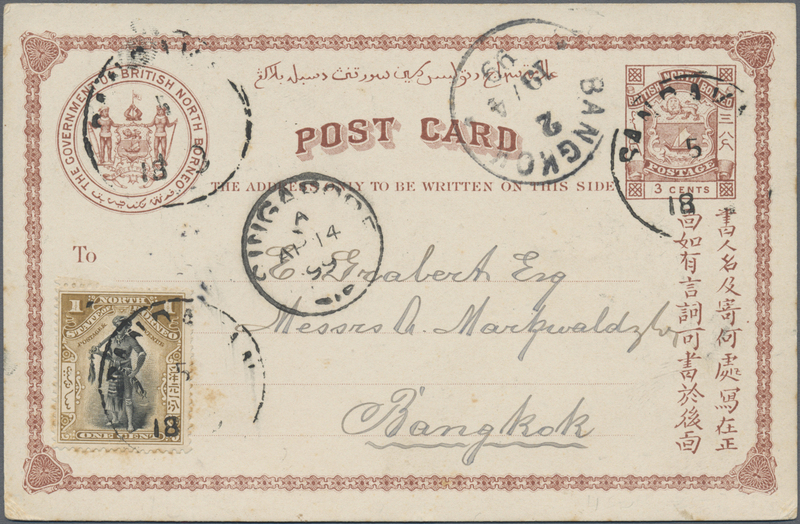 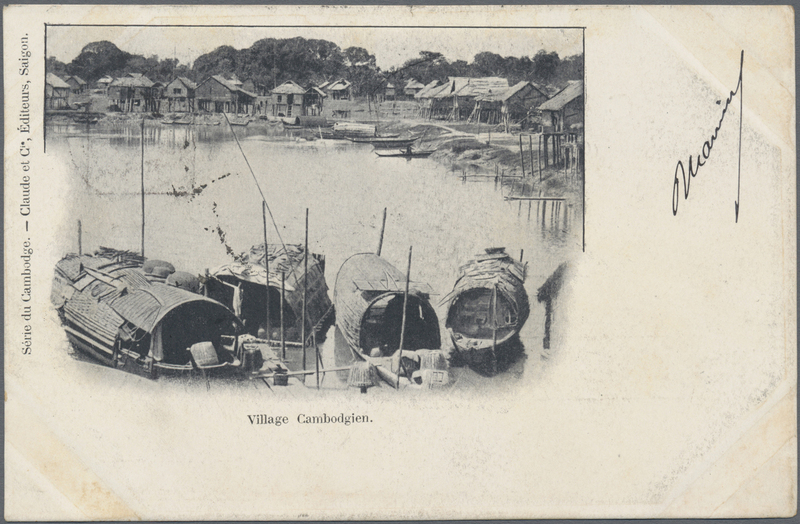 9986 Ansichtskarte (Picture postcard) 1909/11, two ppc used Kyobashi or Shiba to Bangkok/Siam w. arrivals of "Bangkok.2 21.5.09" (large type) or "BANGKOK2 29.1.1911" (small type). 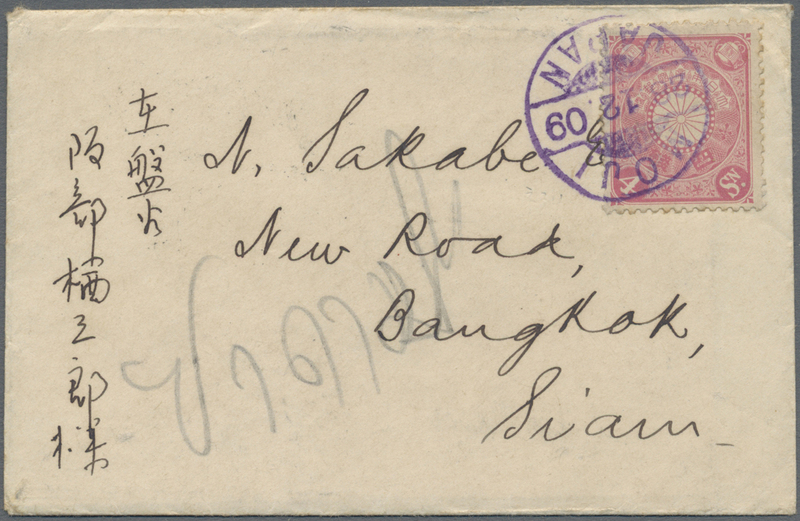 9987 Brief (cover) Incoming mail, 1909, Japan 4 S. tied "MOJI 28.12.09" to unsealed envelopette with name card still included, on reverse arrivals "Bangkok2 26.1.10" resp. 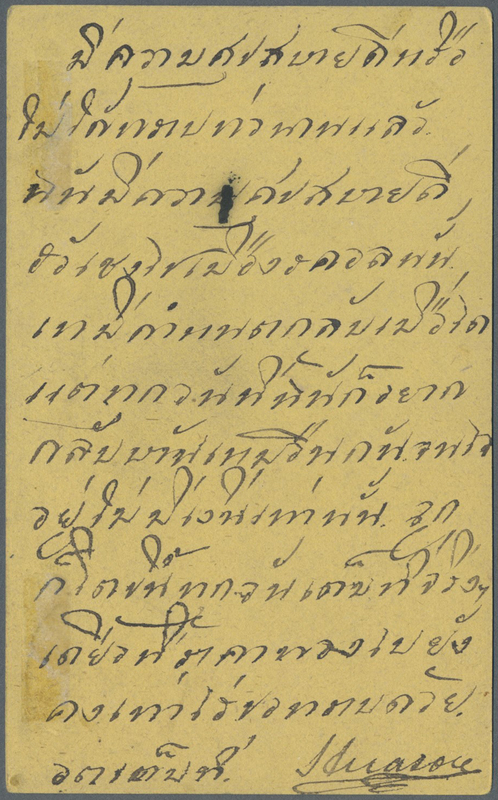 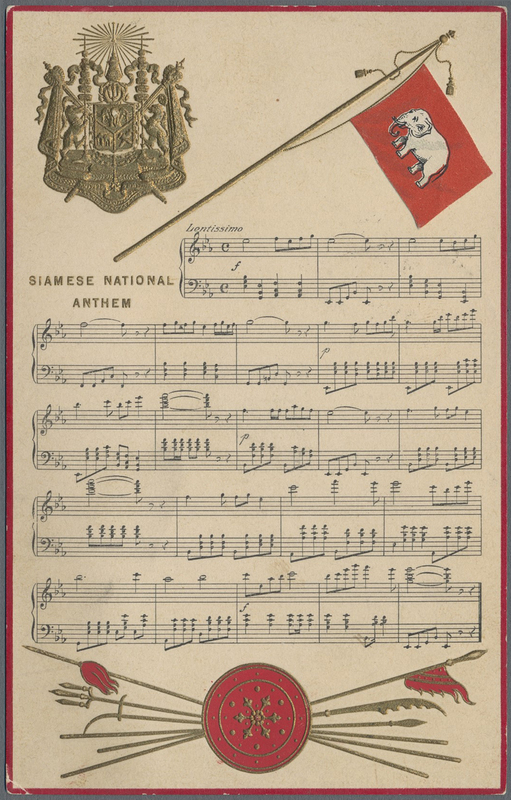 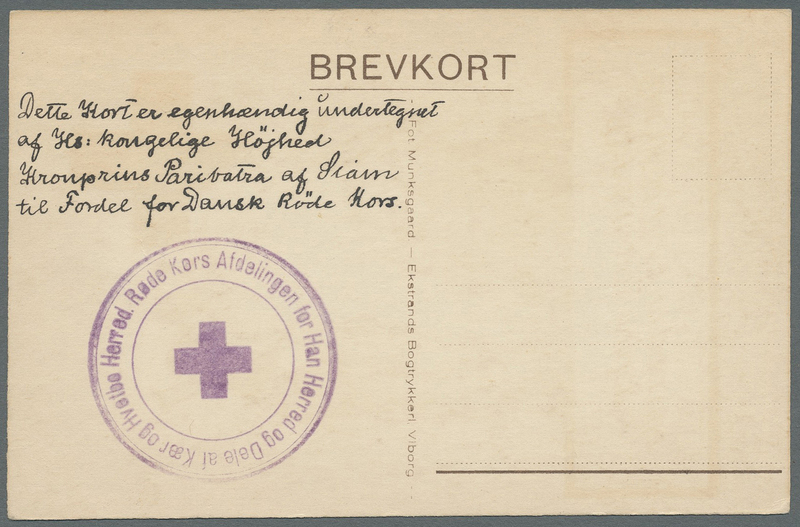 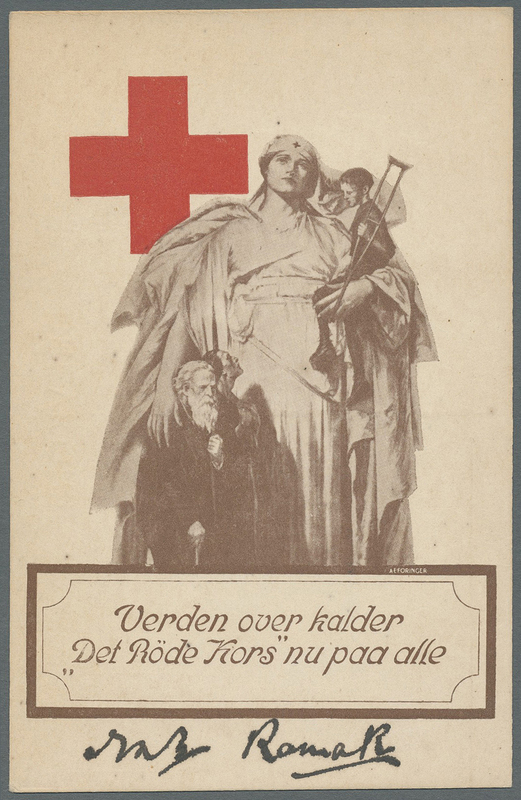 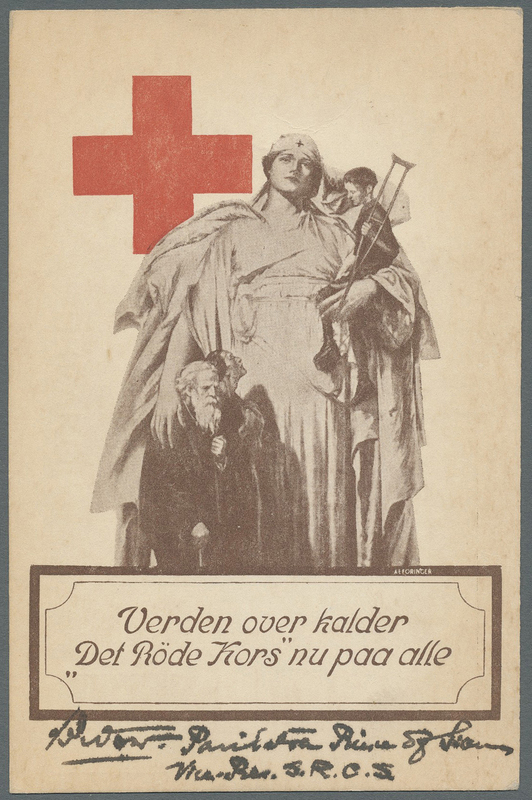 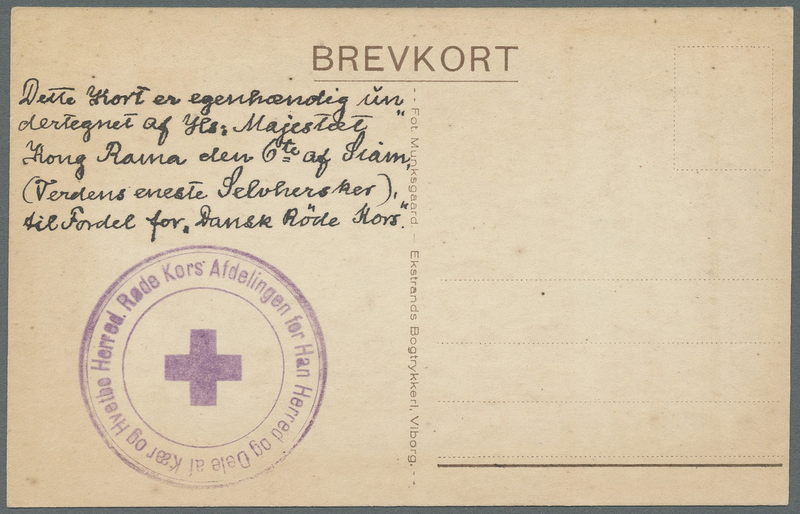 "27.1.10"
9989 Ansichtskarte (Picture postcard) 1914/18, two red cross cards with original signatures of KING RAMA VI and crown prince PARIBATRA of Siam, rare. 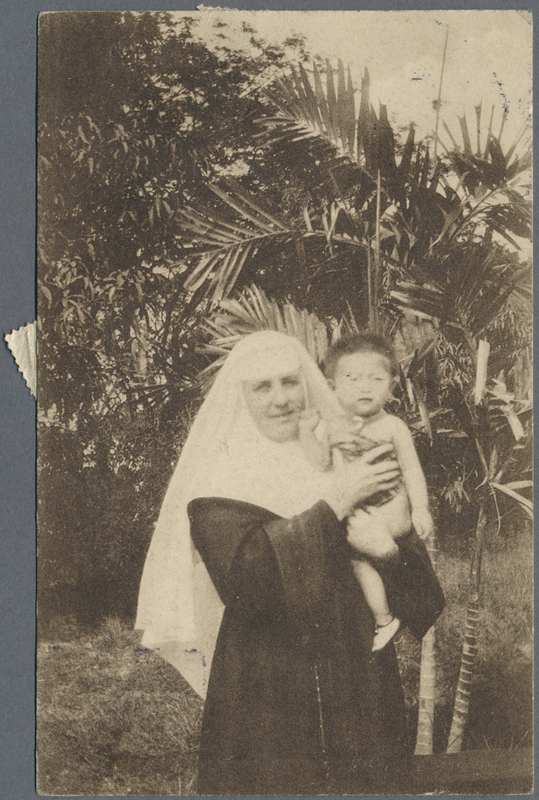 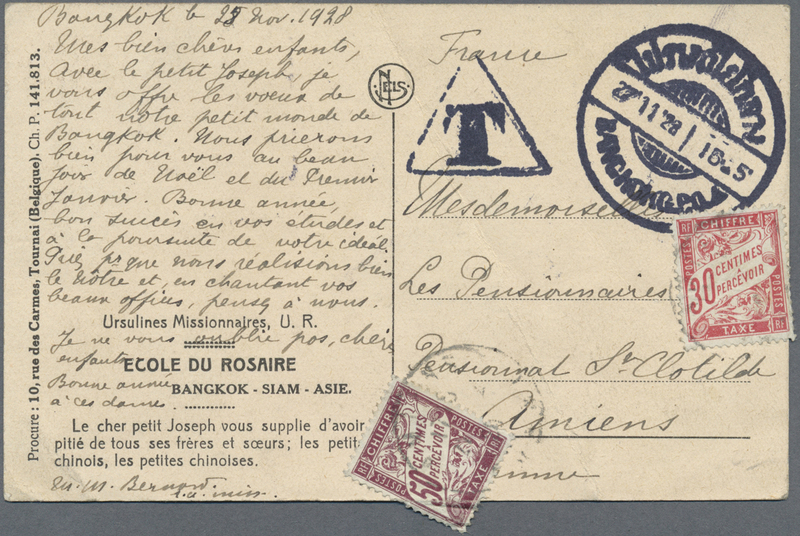 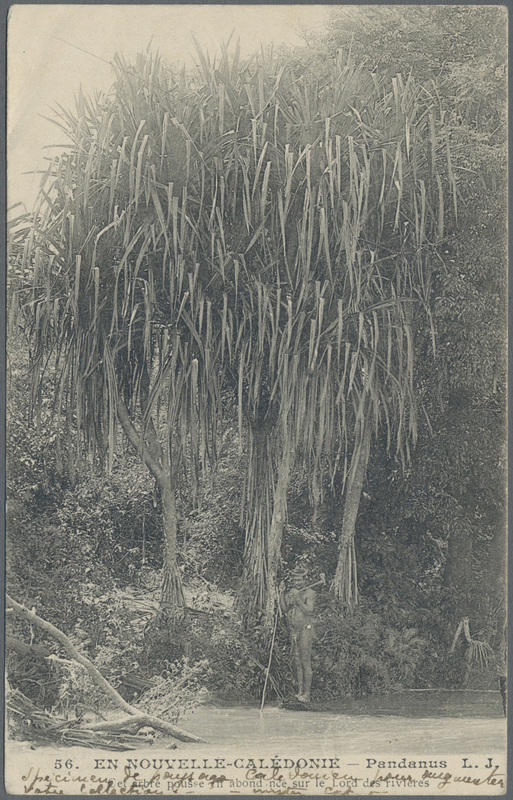 9991 Ansichtskarte (Picture postcard) 1928, stampless ppc (Rosary School for orphans of Ursuline missionaries) marked triangular "T" from "BANGKOK G.P.O. 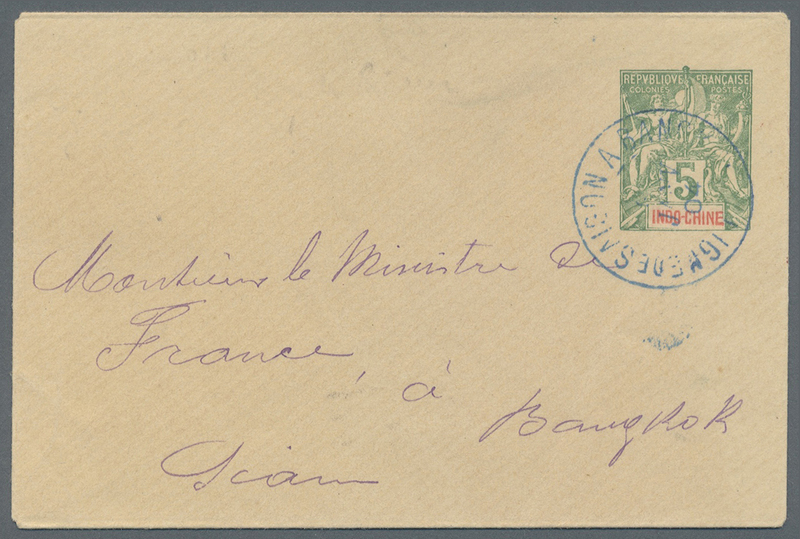 27.11.28" to Amiens/France with french dues 30 C., 50 C. (overlapping but complete) affixed tied "AMIENS 22 2 29"
9994 Ganzsache (Complete) 1941/45 (ca. 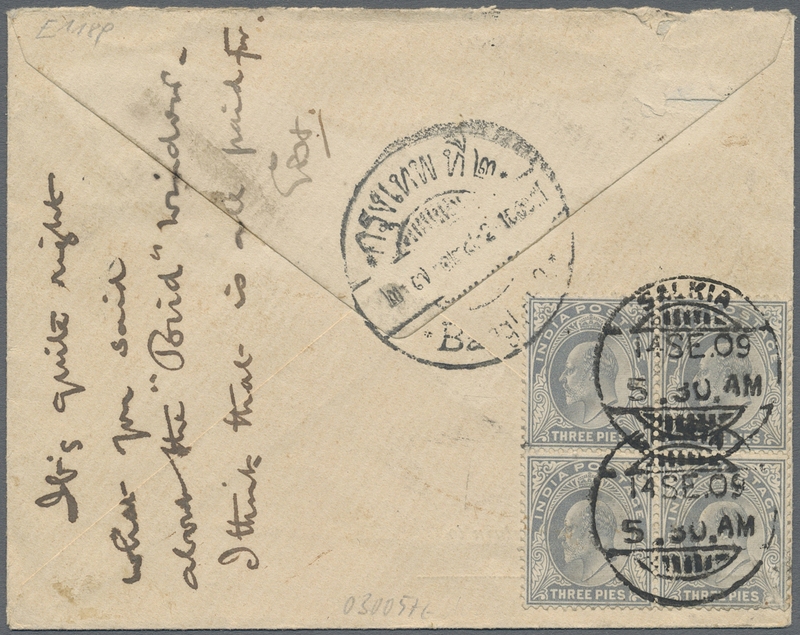 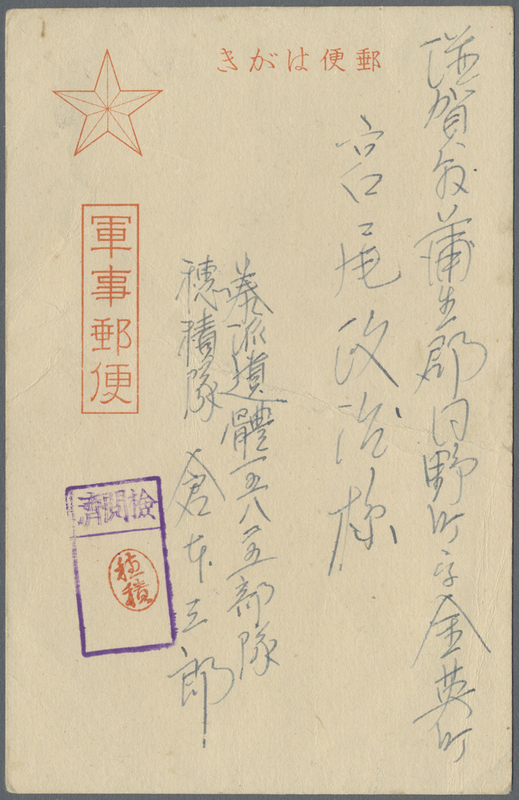 ), Japan in Thailand, two different style (helmet+dove, army star) japanese military mail cards both with code "Thailand dispatch 15825 corps" sent Shiga pref. 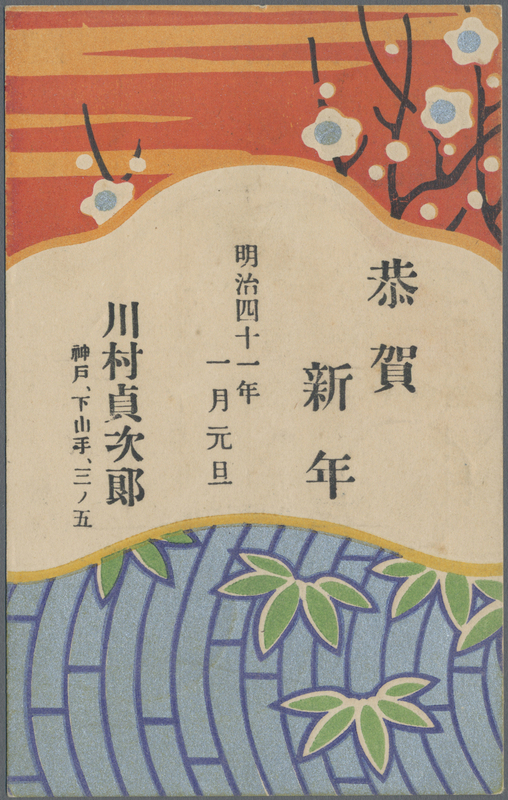 or Mie pref., Japan.